Frank's was a small meat-and-three restaurant on Two Notch just east of Beltline in the corner of the strip mall with AutoZone. 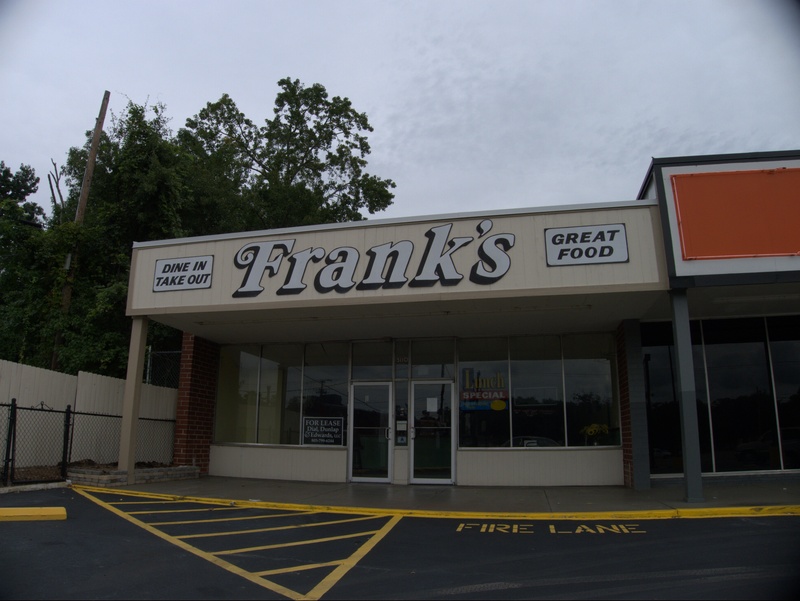 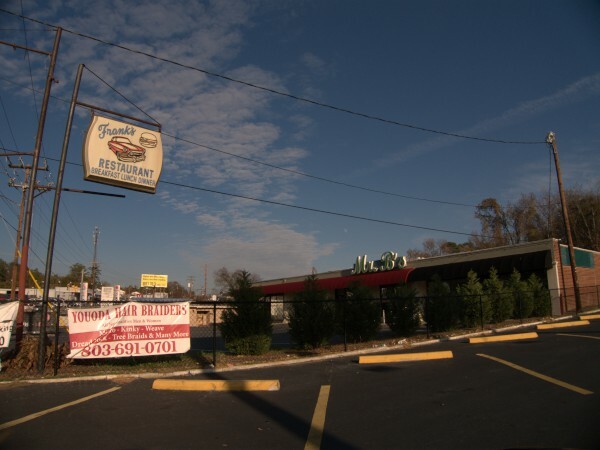 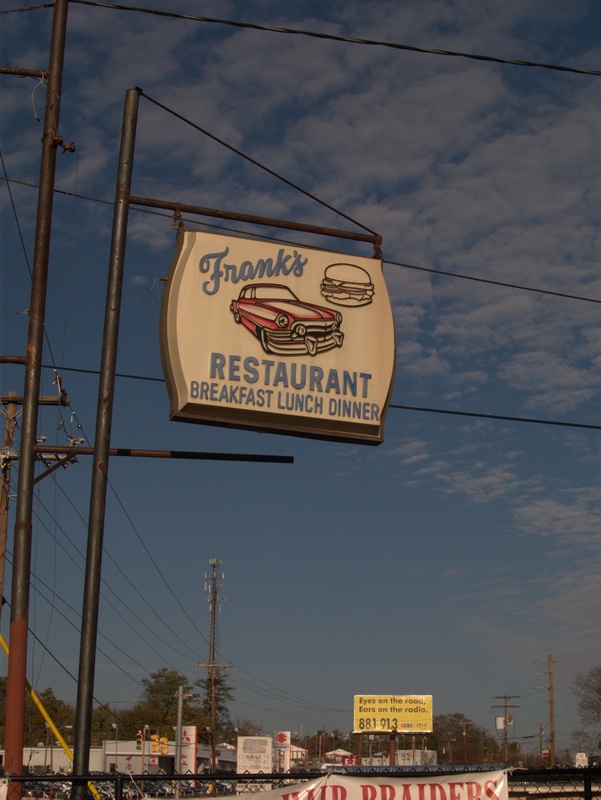 I have to say that I never stopped by Franks's although this Cheeseburger Crawl appreciation says it had been there quite a while and describes it in a way that makes me sorry I missed it. Going by the door sign, the place went out in a very classy way at the end of June. 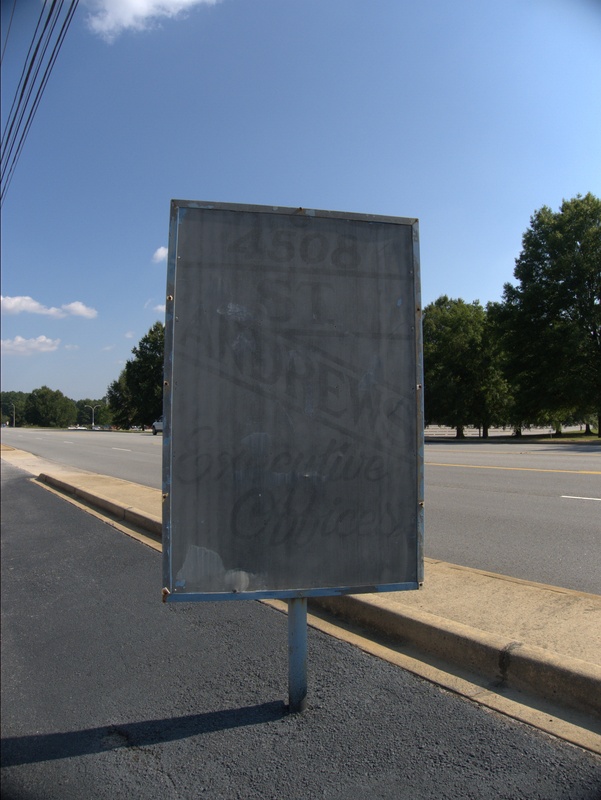 UPDATE 1 September 2012: Add some pictures of the parking lot sign. 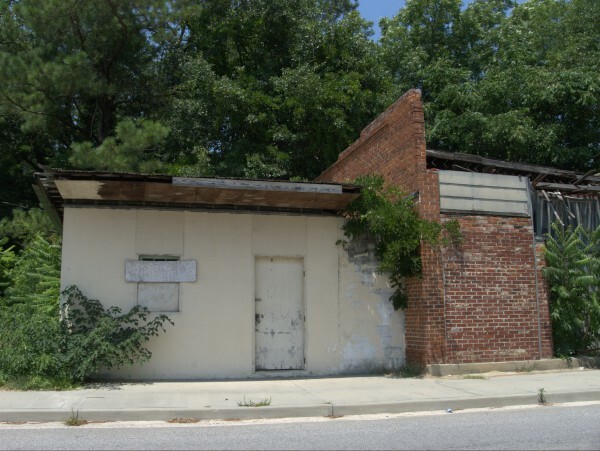 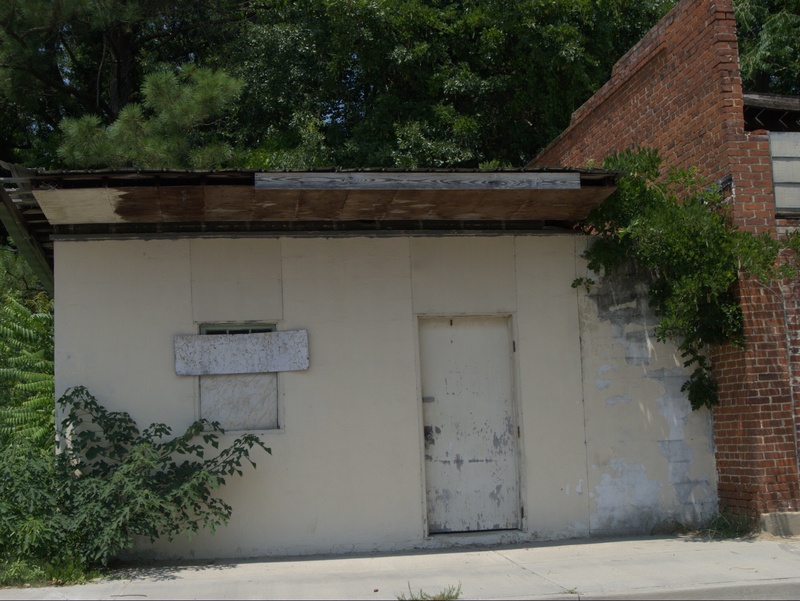 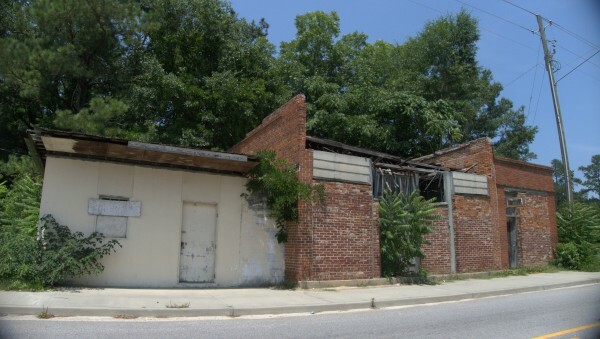 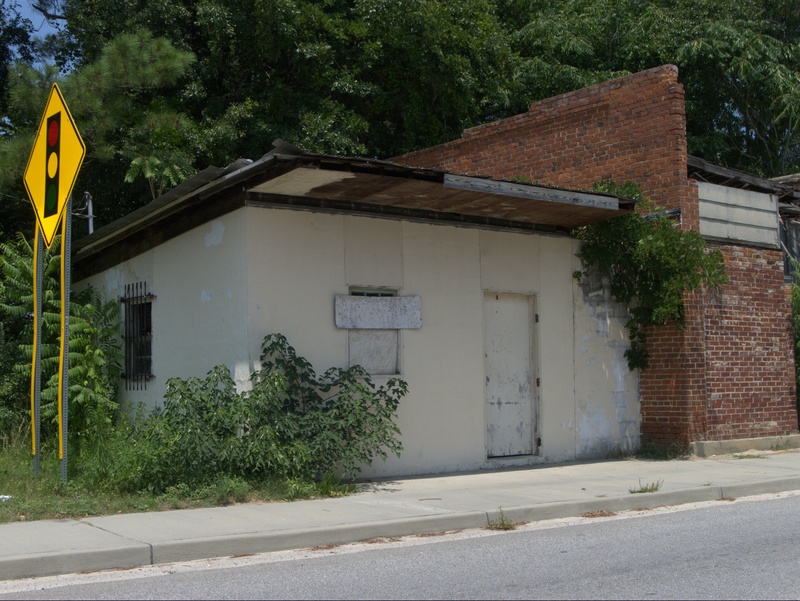 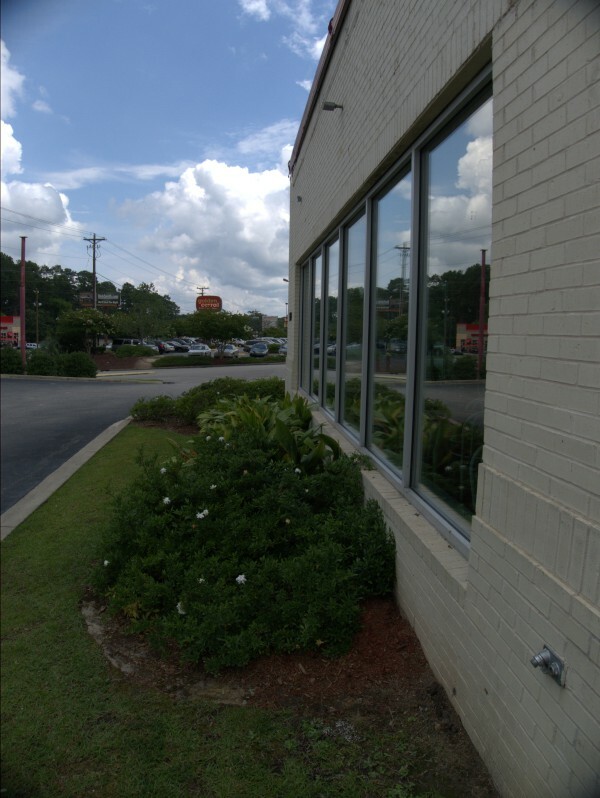 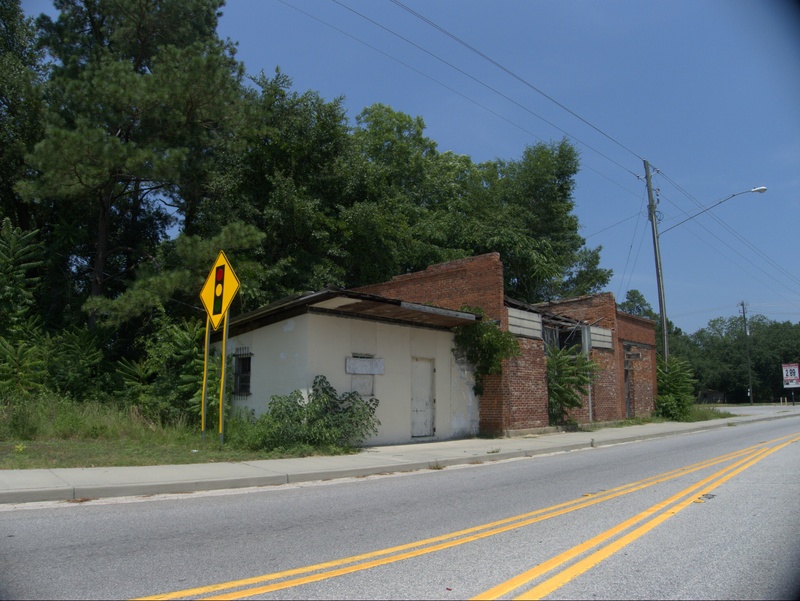 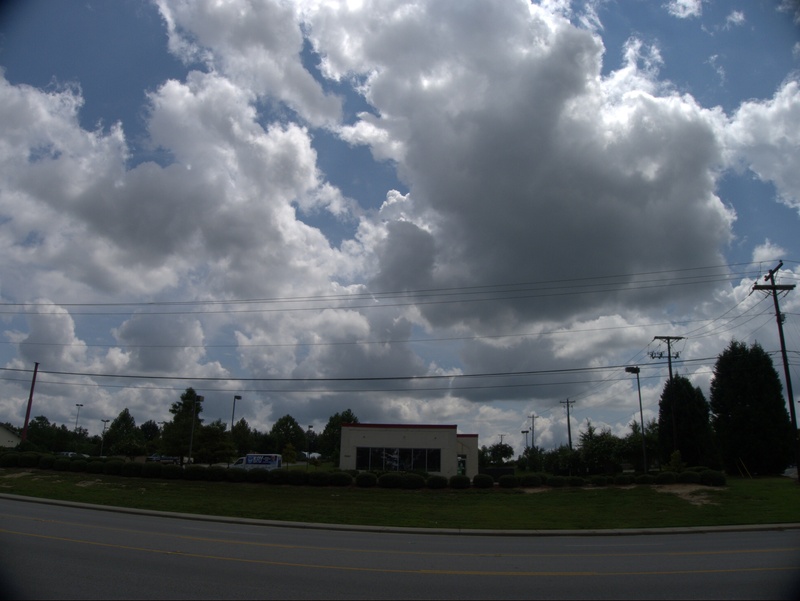 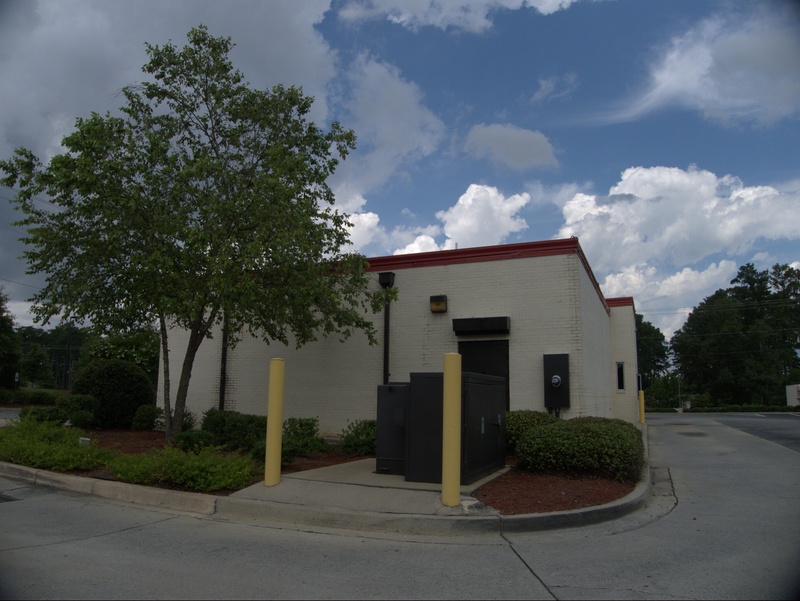 This was the first location for Piggly Wiggly store number 102. 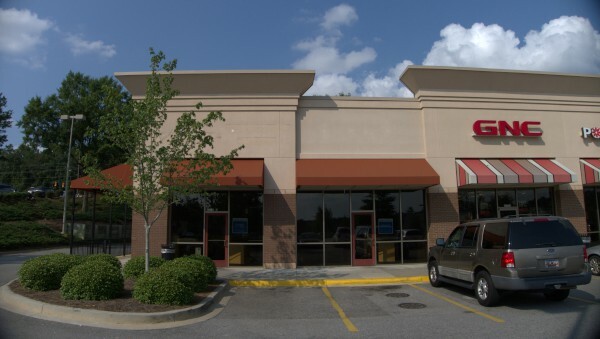 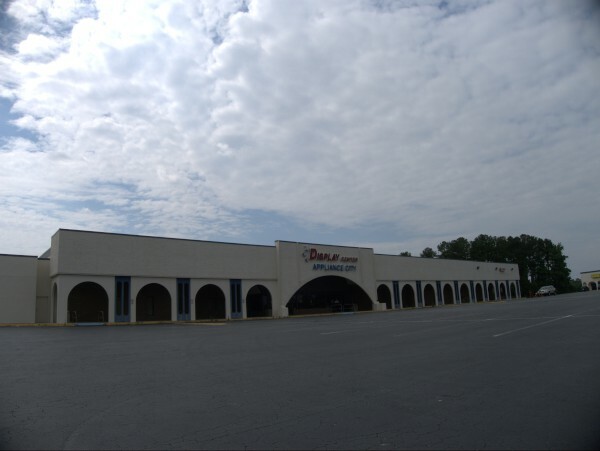 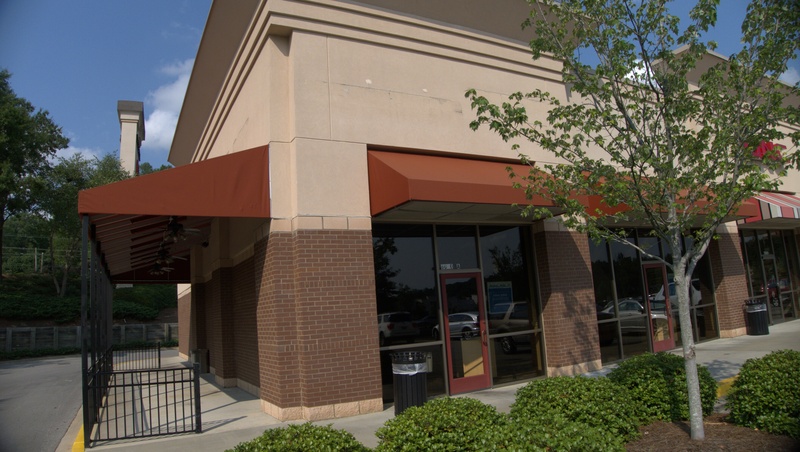 If I have the story straight, then this store closed in 2001, moved and re-opened in the former Harris Teeter at 4350 Saint Andrews Road (and then closed for good). 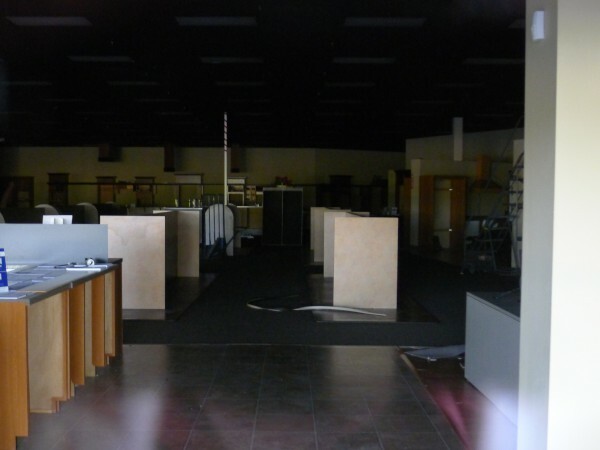 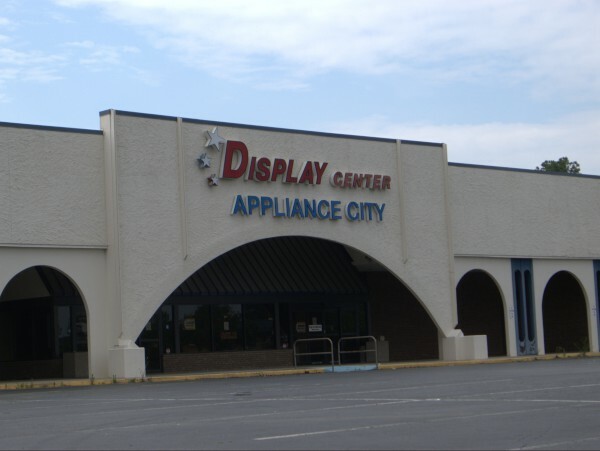 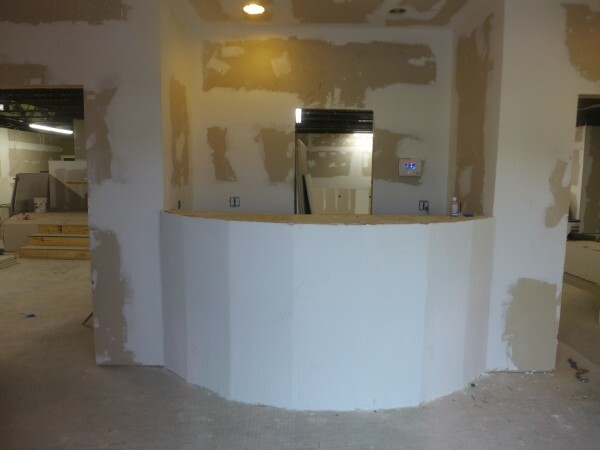 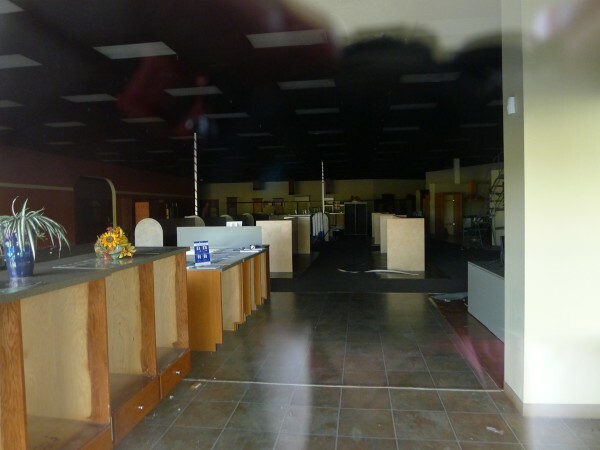 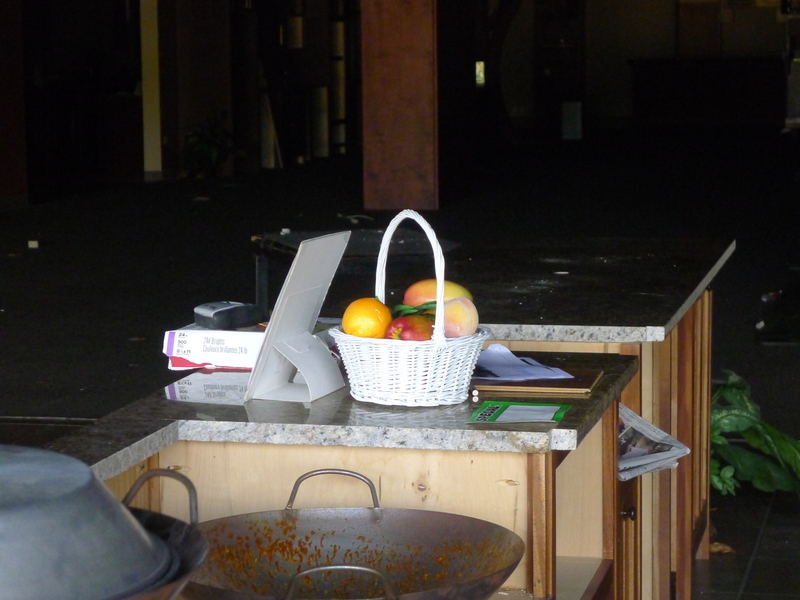 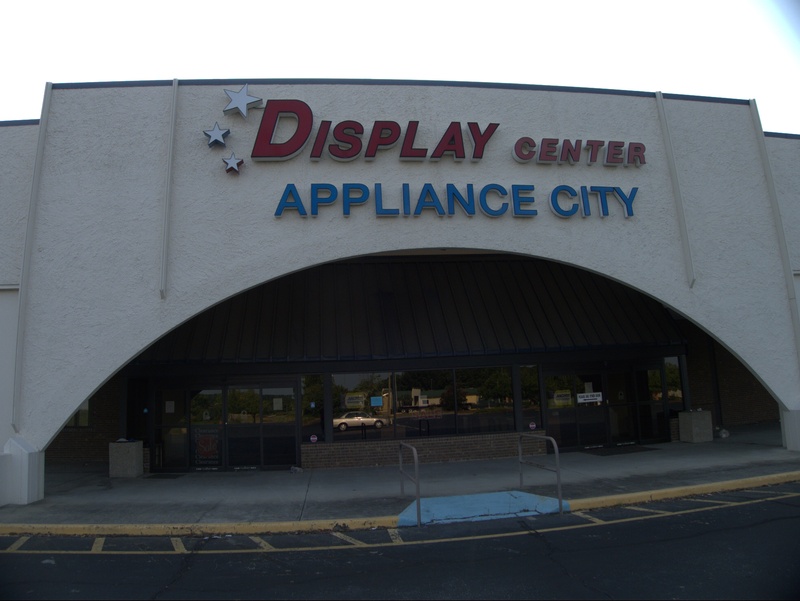 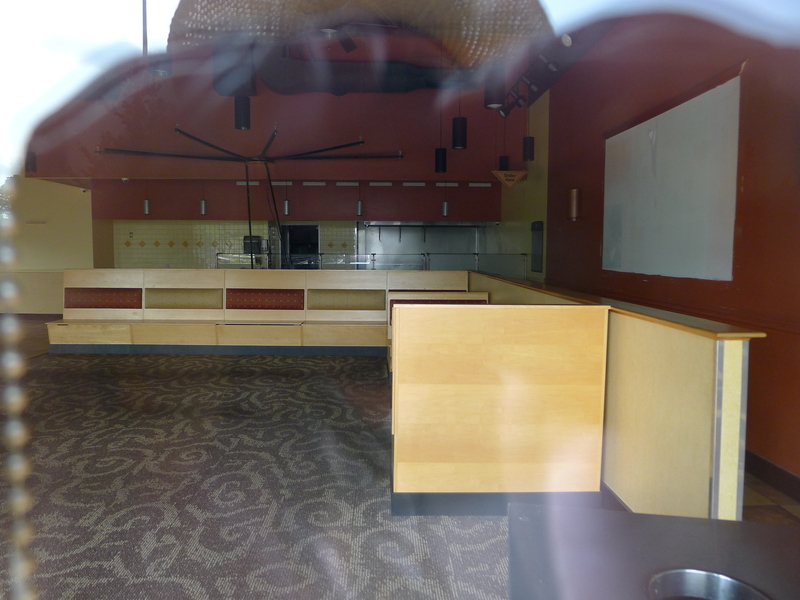 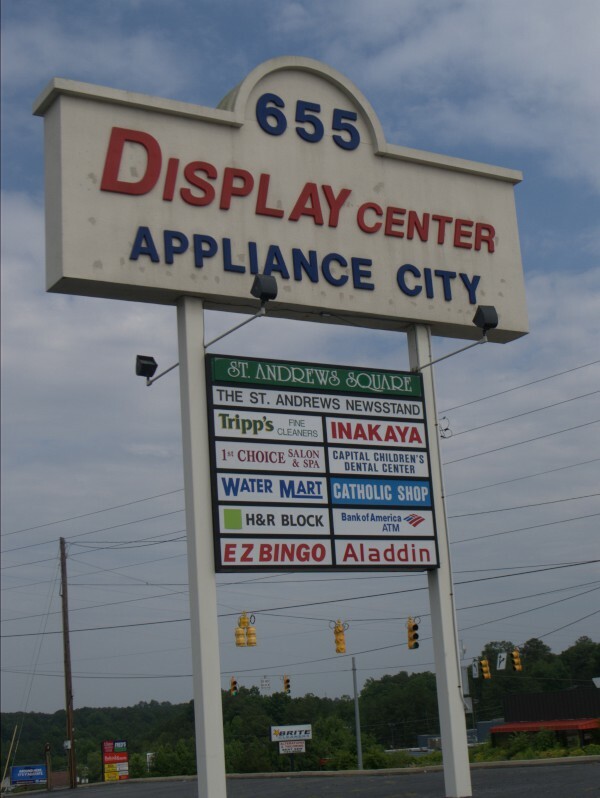 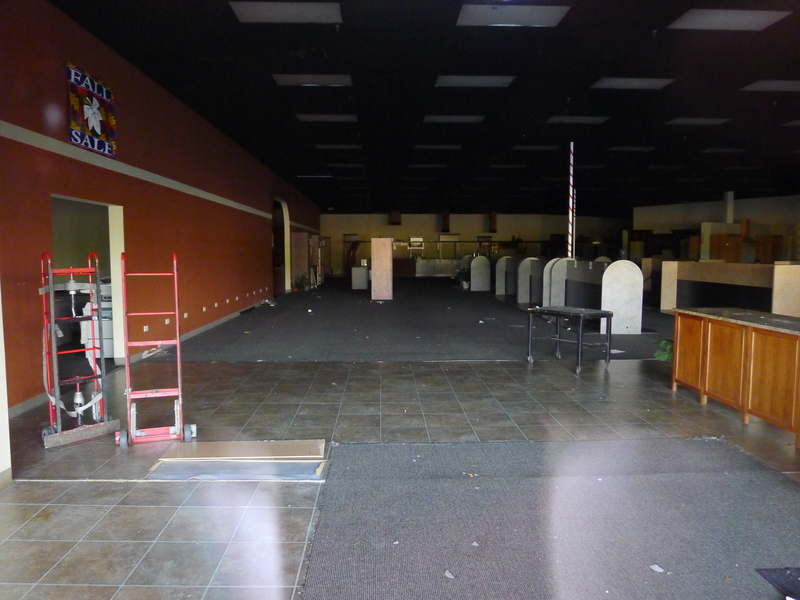 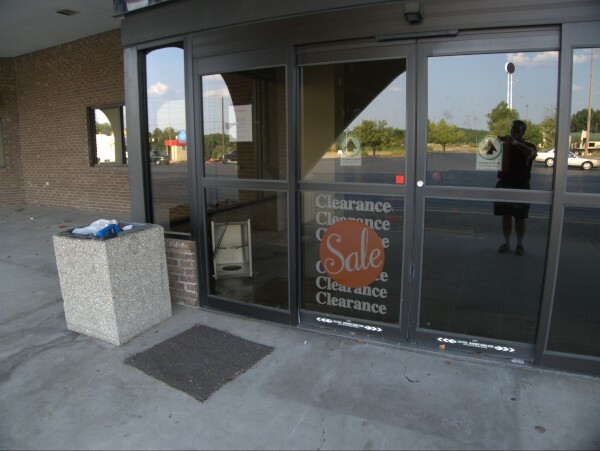 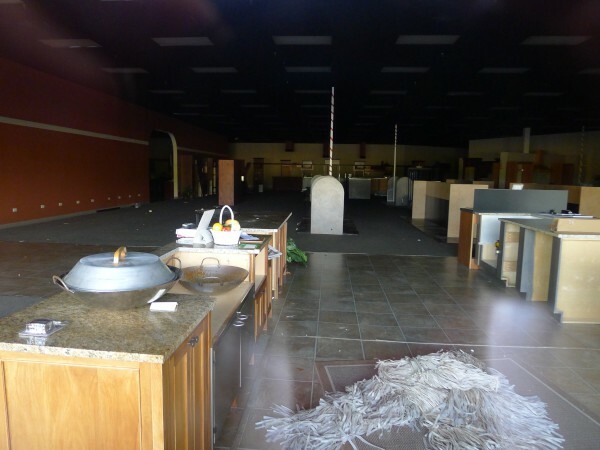 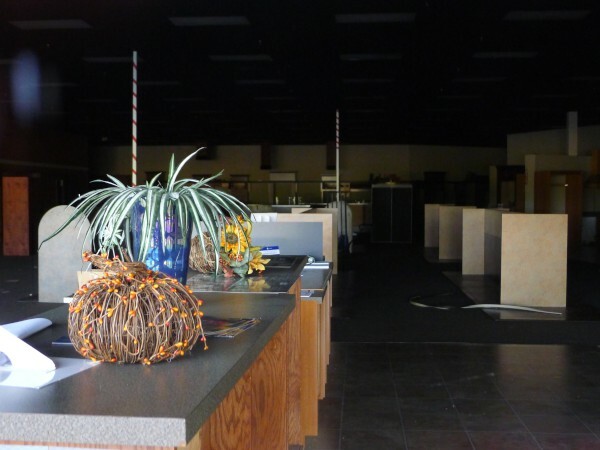 After that, the Display Center appliance store moved in, and closed on 30 November 2011, leaving an interesting assortment of items behind. 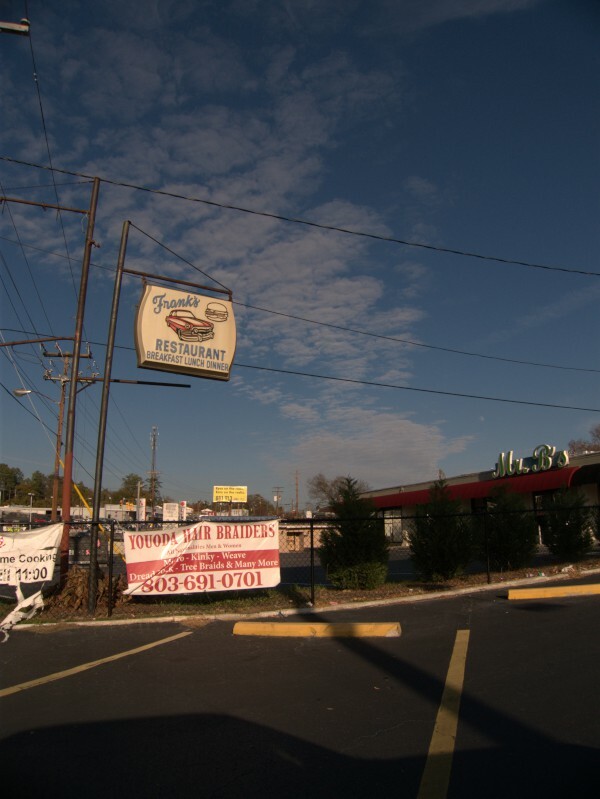 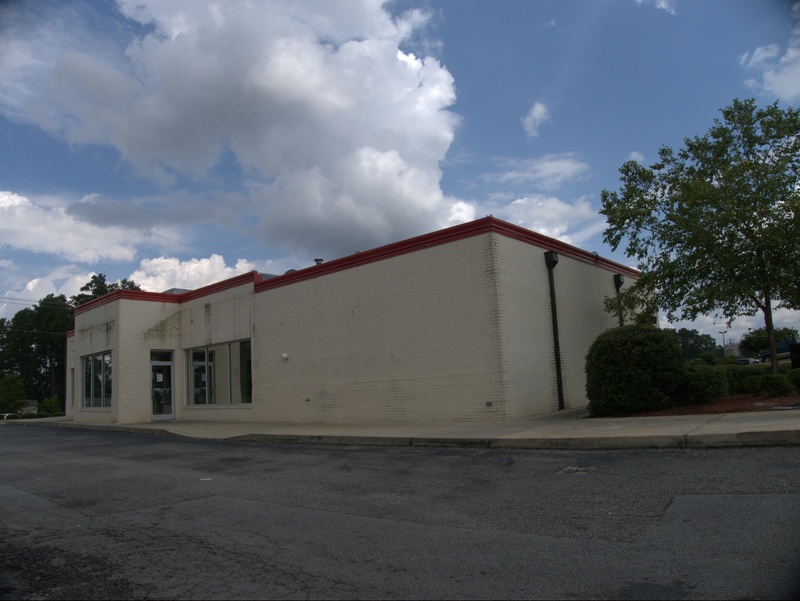 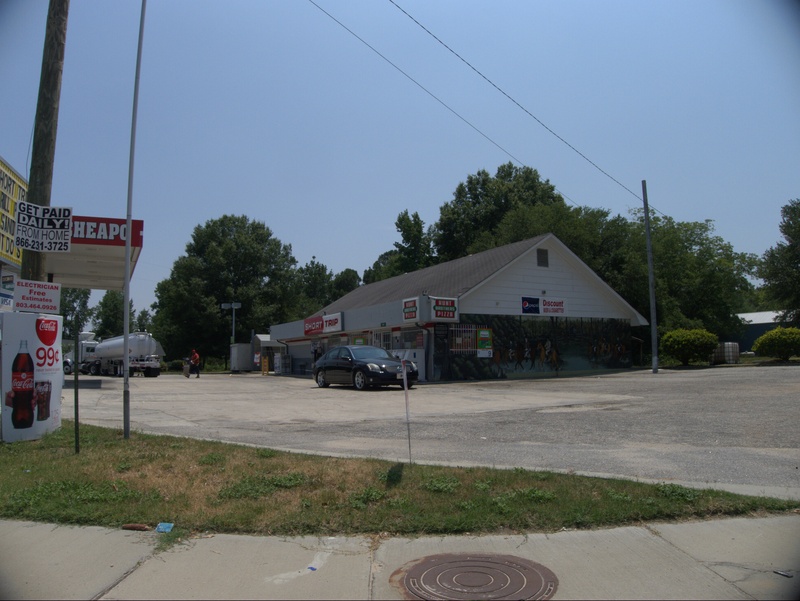 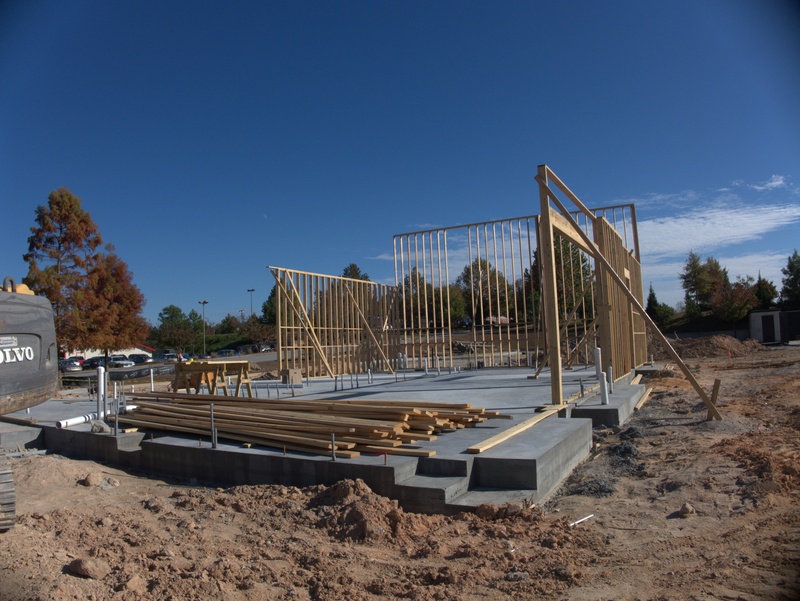 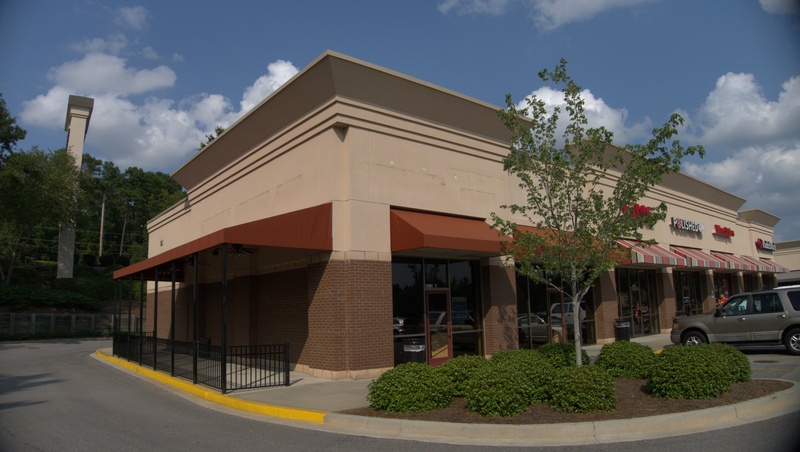 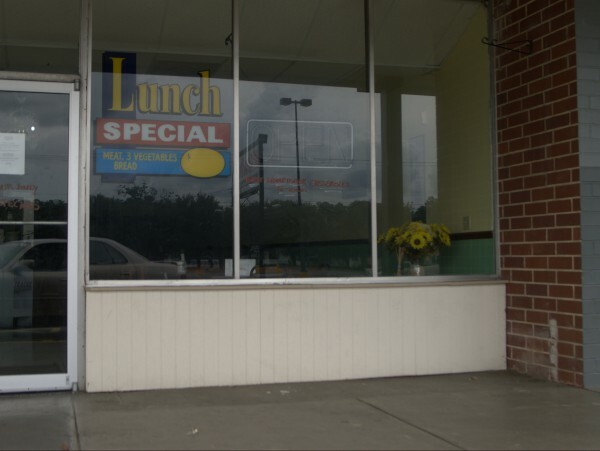 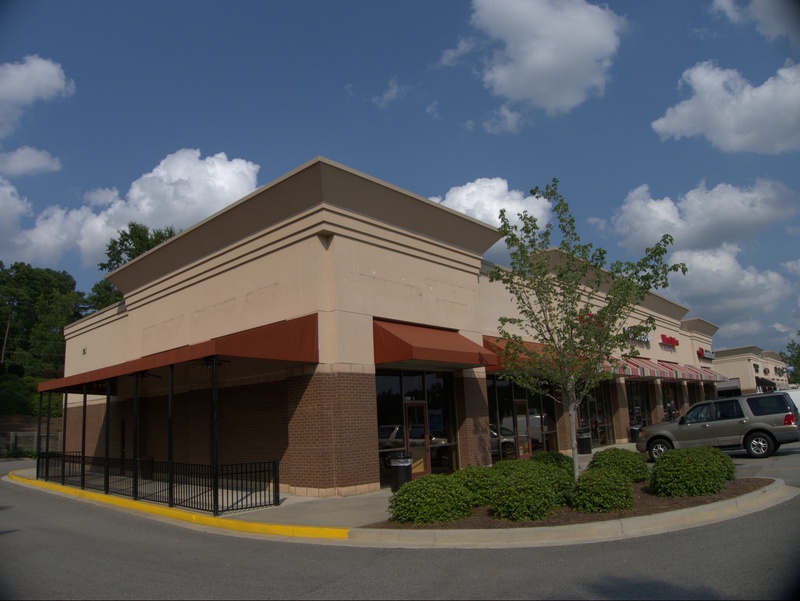 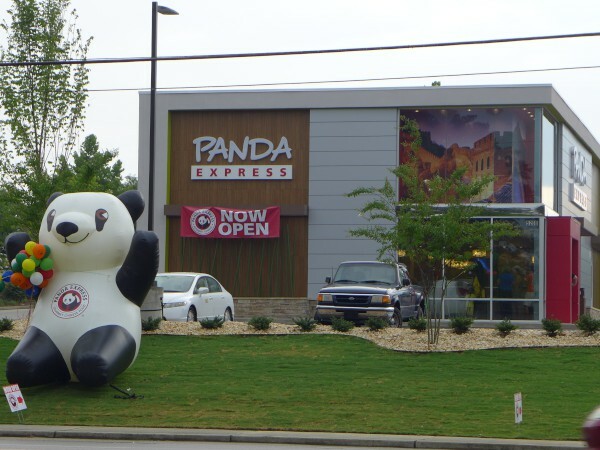 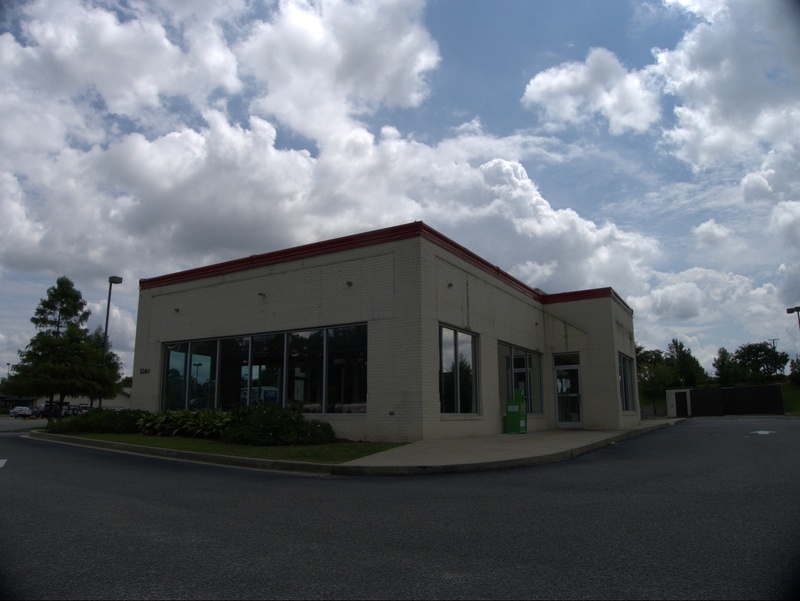 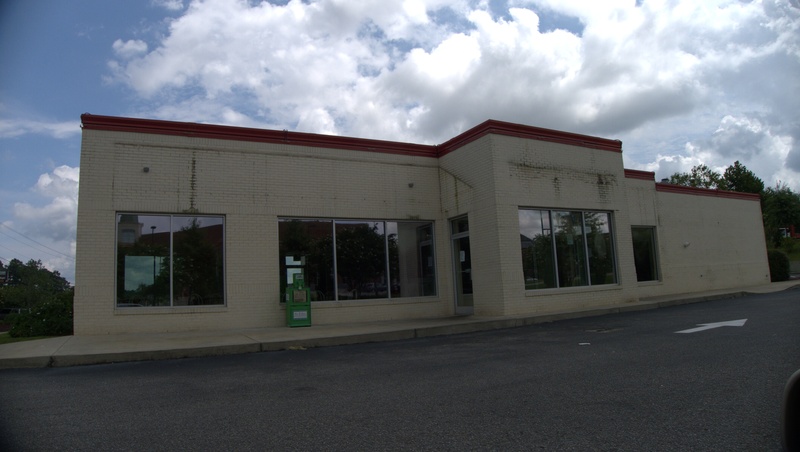 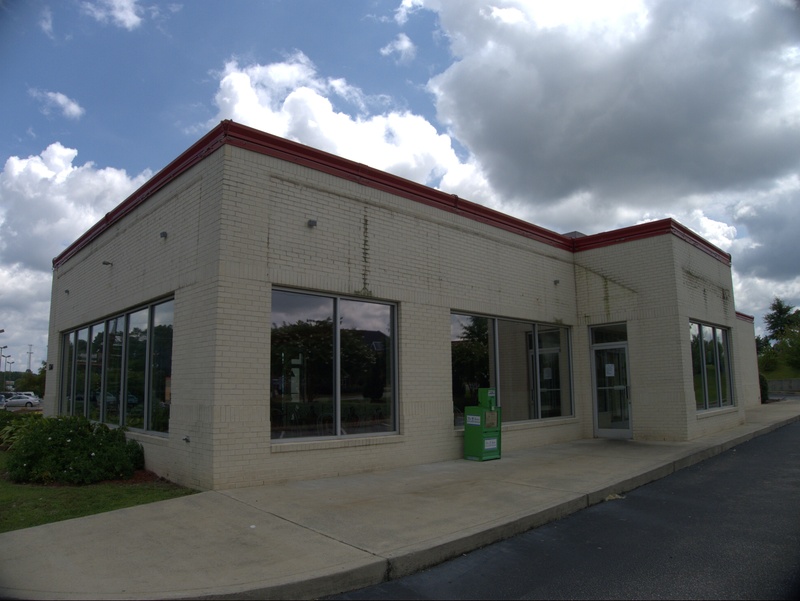 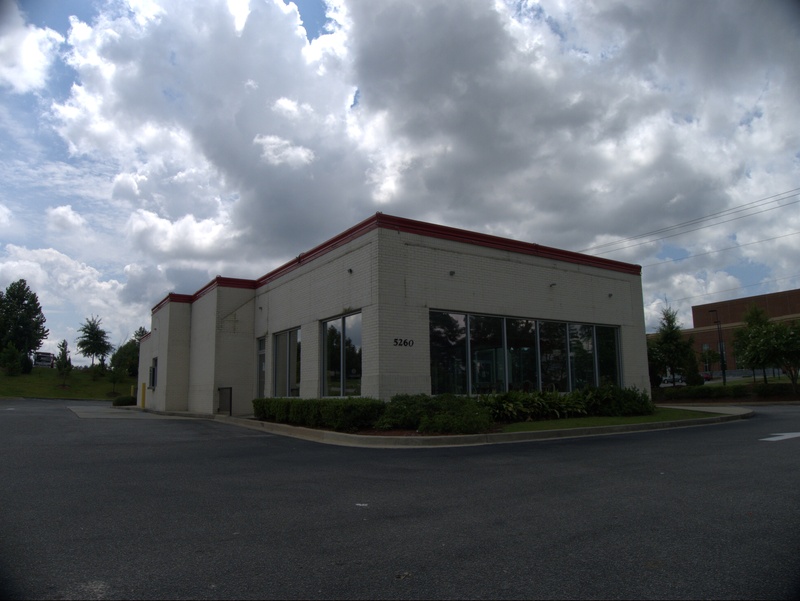 This location is directly across Jamil Road from former Hilltop Restaurant, and in the same plaza as the former Capitol News Stand. 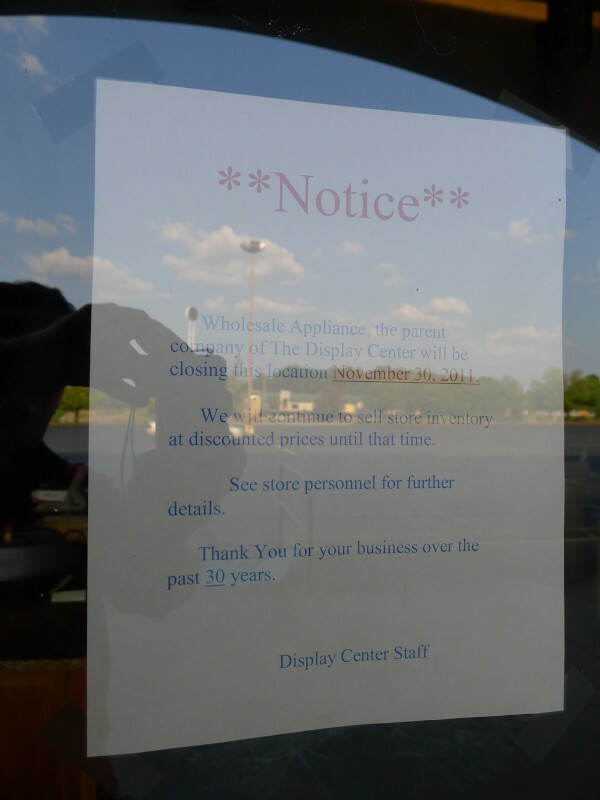 UPDATE 4 September 2012: Fixed typo in DC closing date. 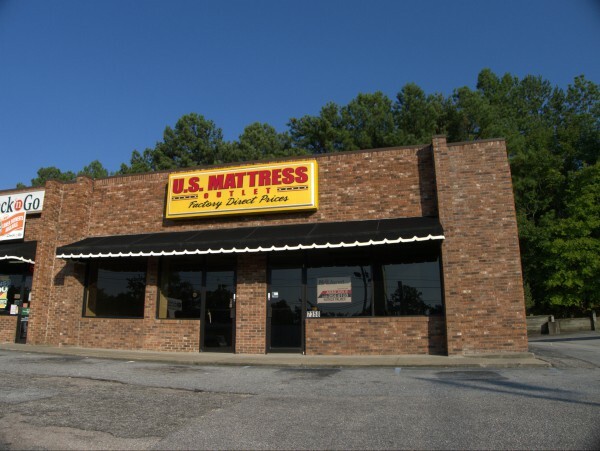 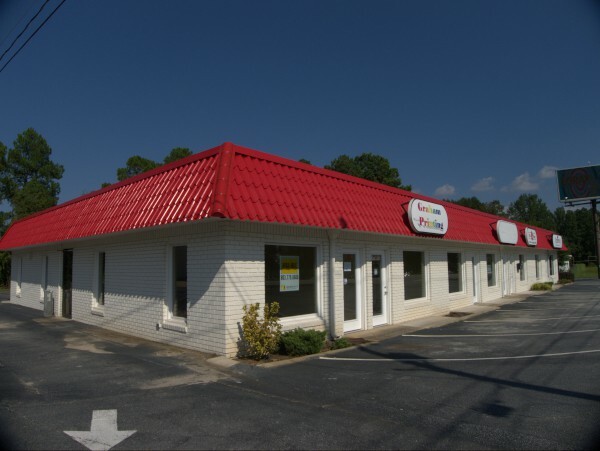 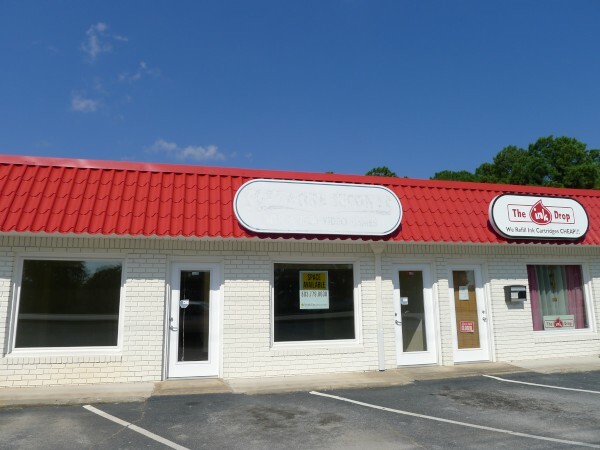 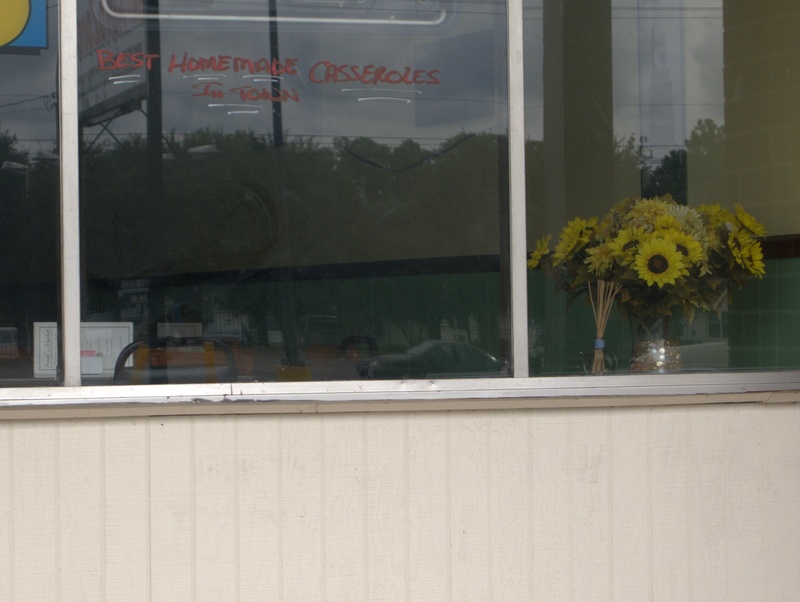 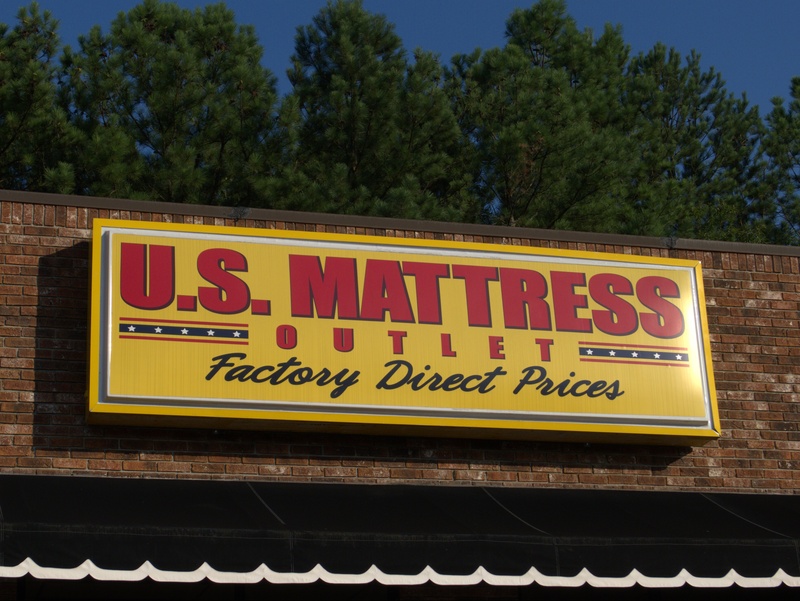 This Dentsville mattress store is listed in the February 2011 phonebook (along with one on Augusta Road), but neither is in the February 2012 phonebook. 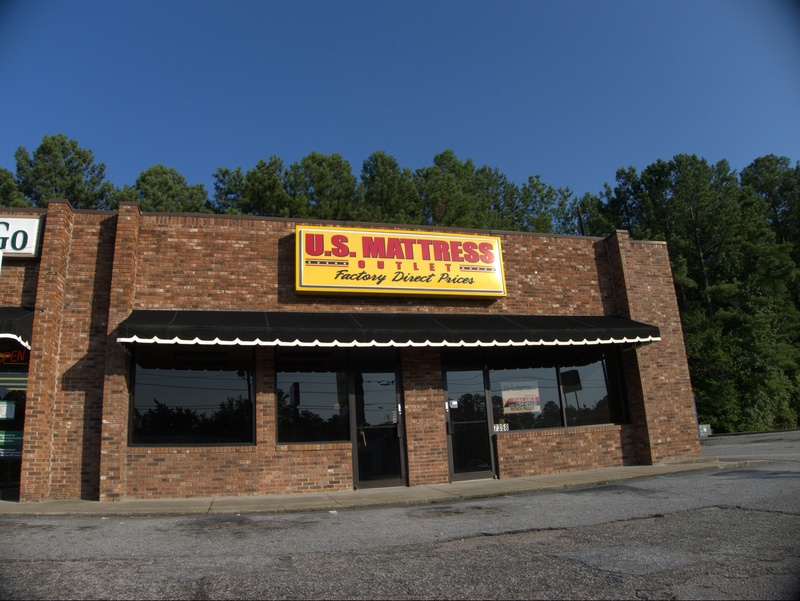 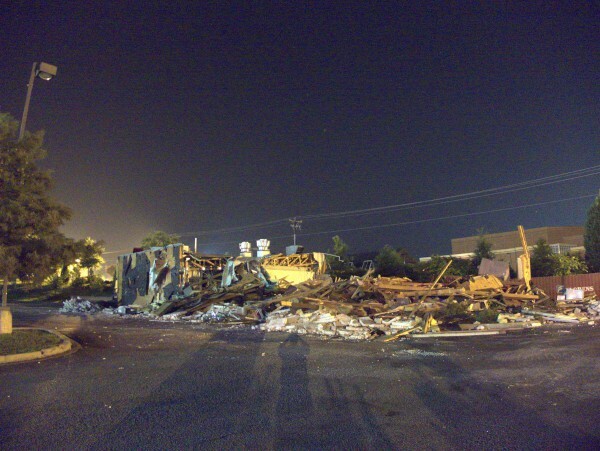 Meanwhile, there are lots of spare mattresses at the Ramada Inn. 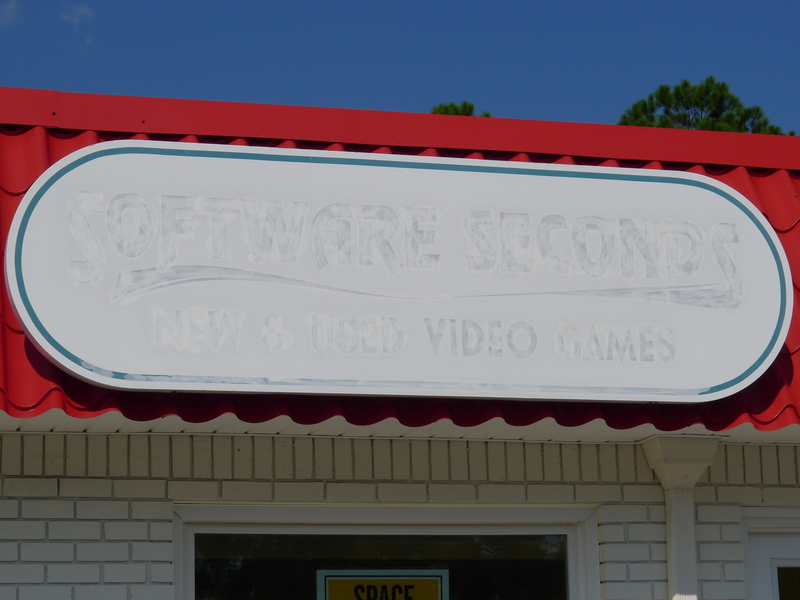 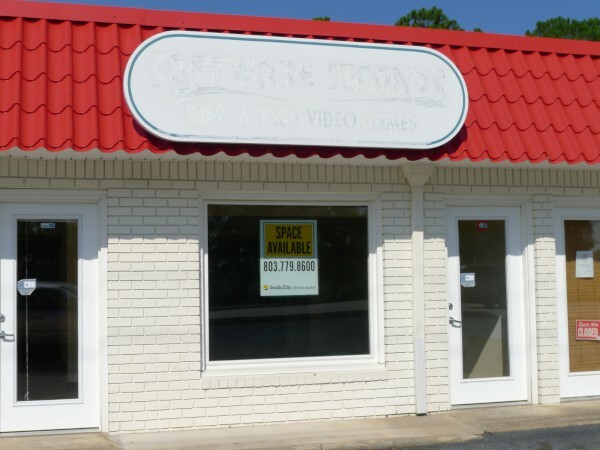 This little storefront on Saint Andrews Road more or less across from the big industrial plant was in the used software business, presumably mostly games as the text of the (now painted over) marquee is: Software Seconds New & Used Video Games. Like Labrasca's it has been reported closed before, but this time is definitely the real thing. 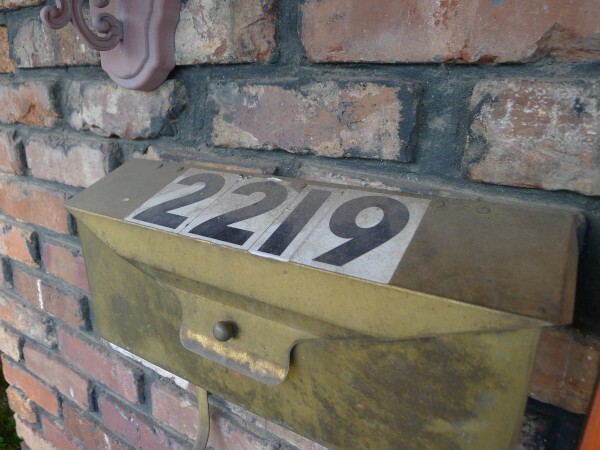 They are listed in the February 2012 phonebook, so for lack of any better information, I'm just giving the date as 2012. I don't know about console games, but pretty much anything that runs on a PC platform is pirated out the wazoo on the Internet now, and that puts stores like this one in the same fix as CD stores (and, increasingly, video stores). 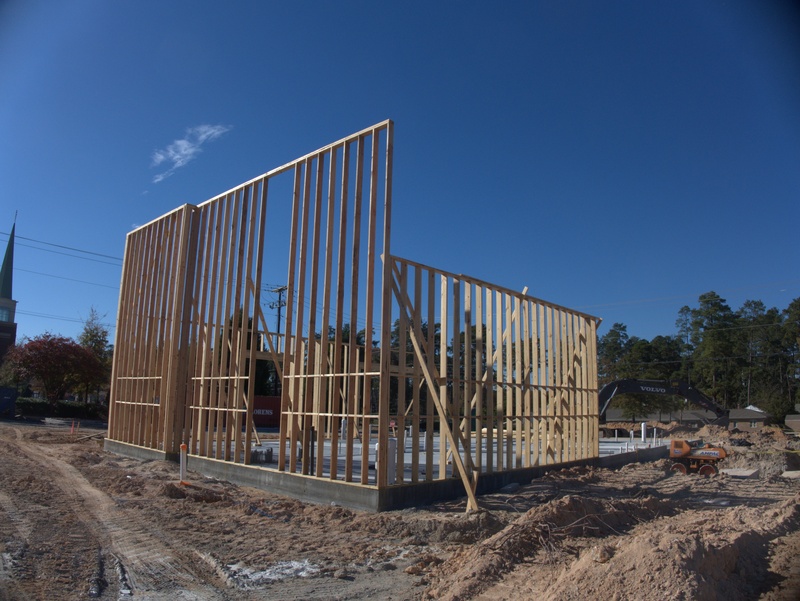 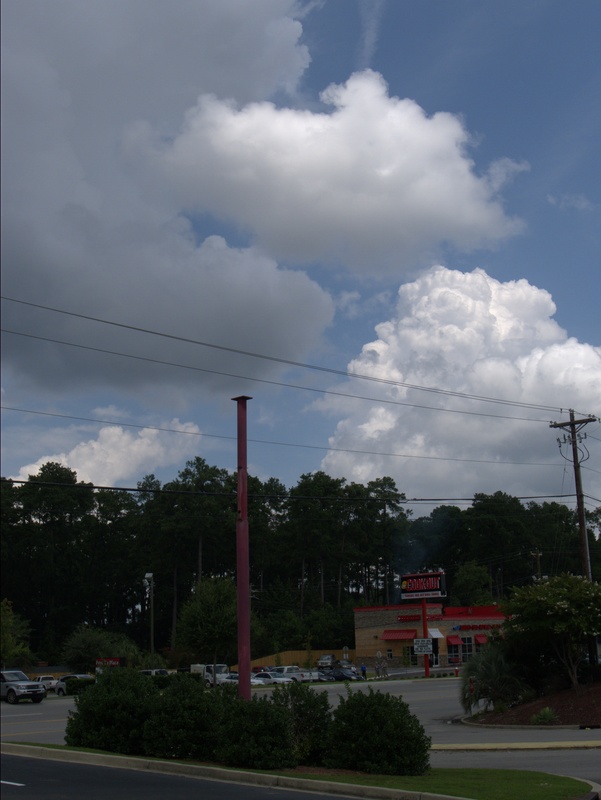 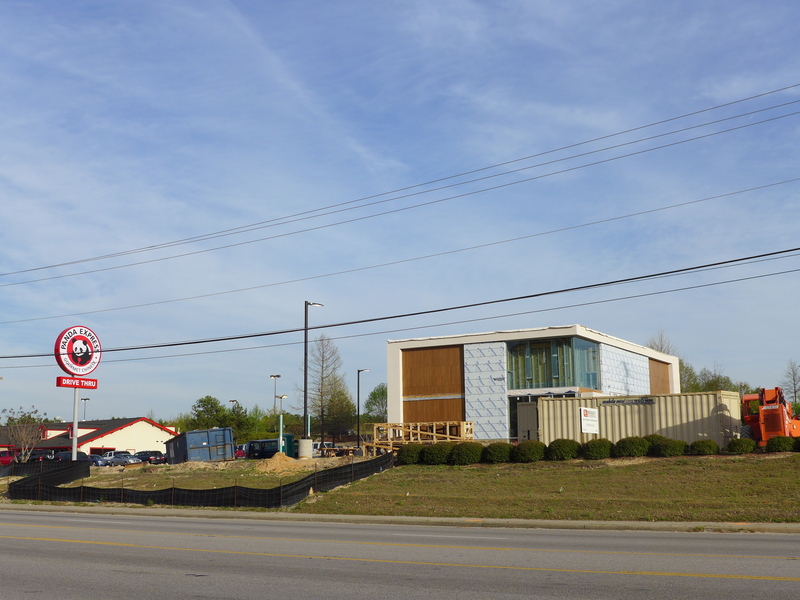 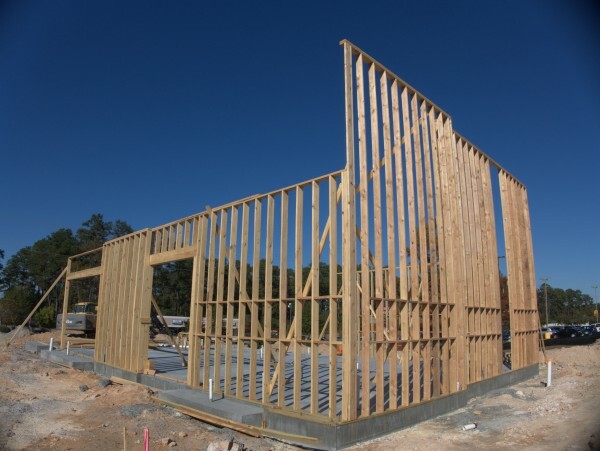 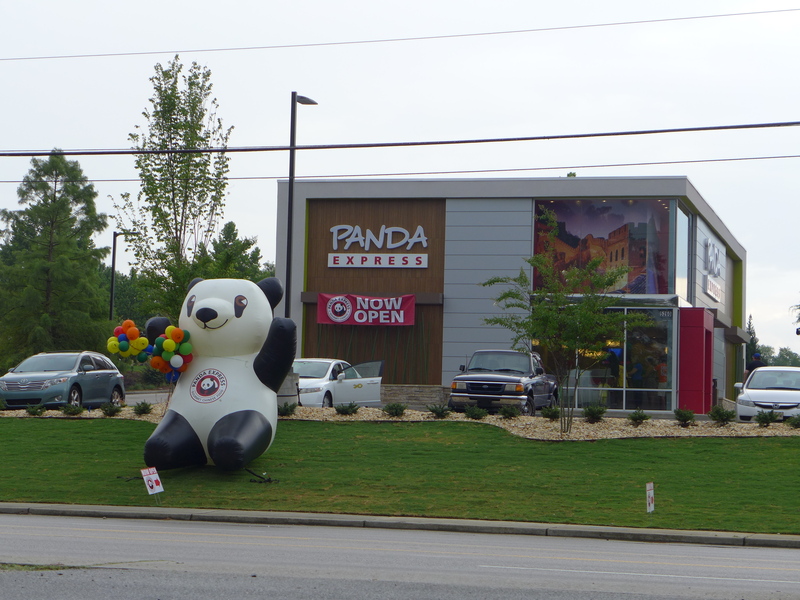 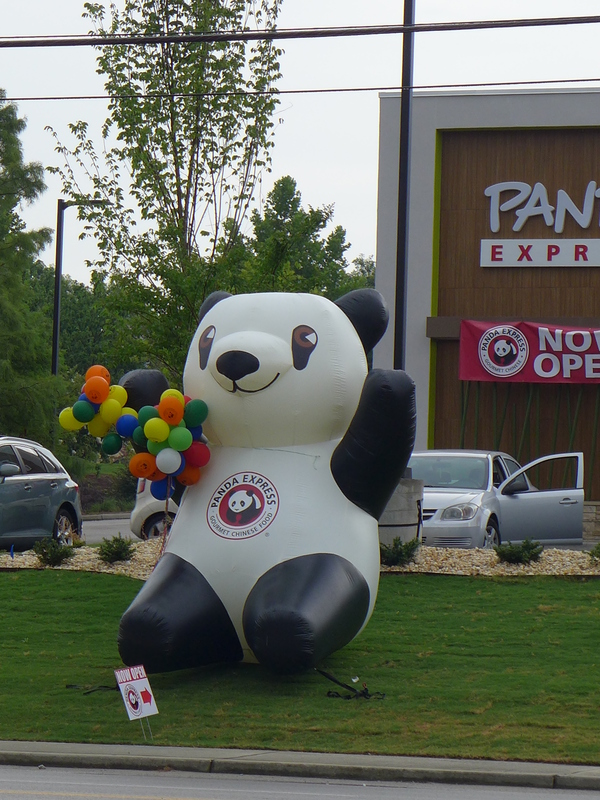 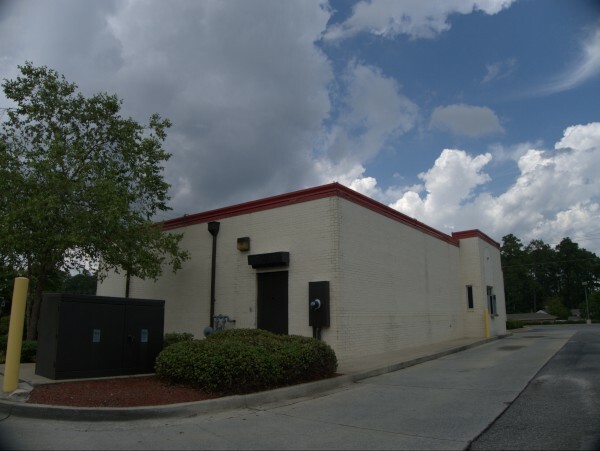 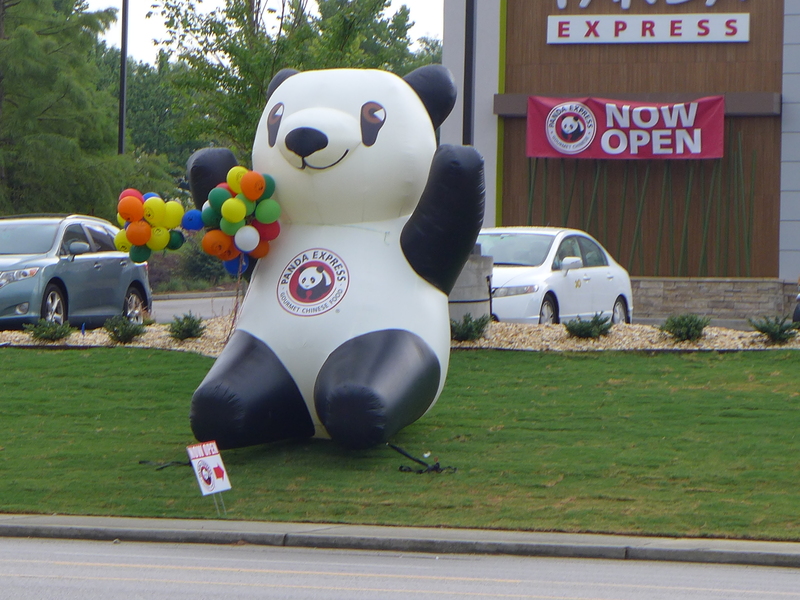 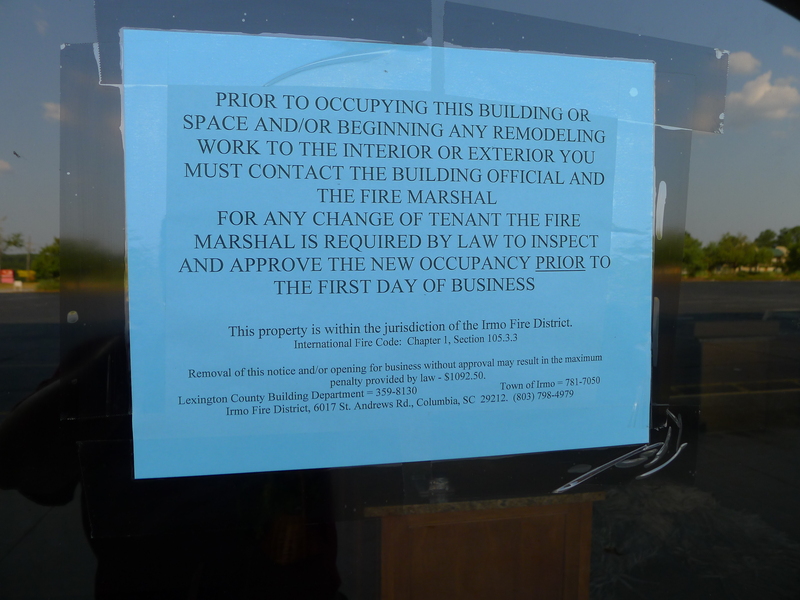 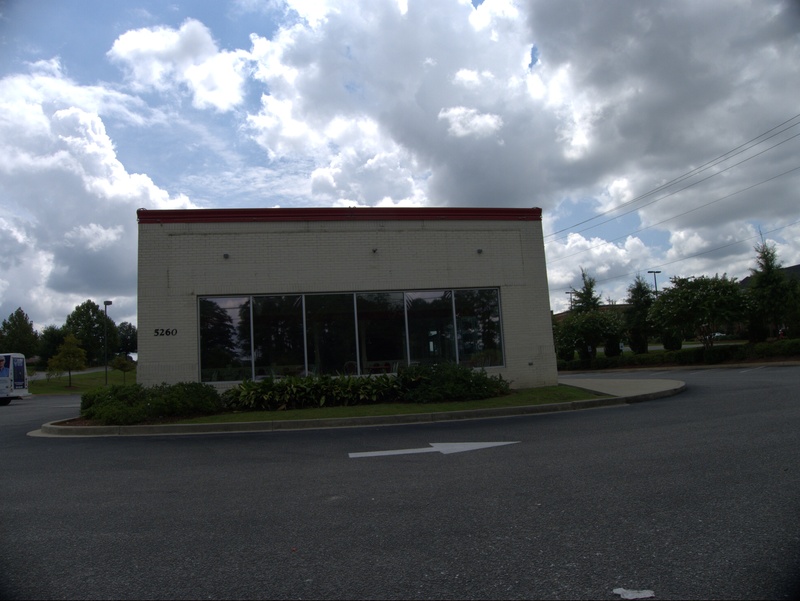 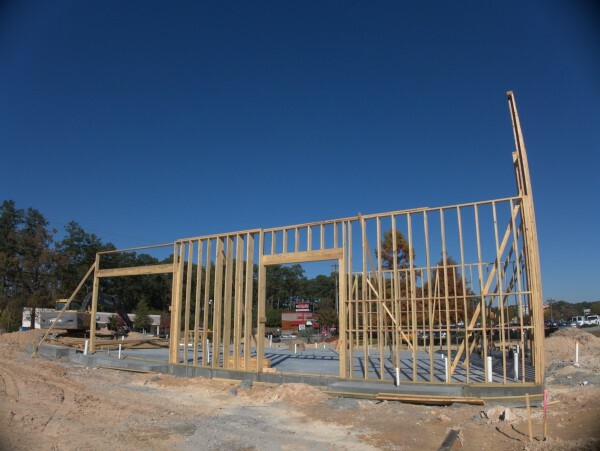 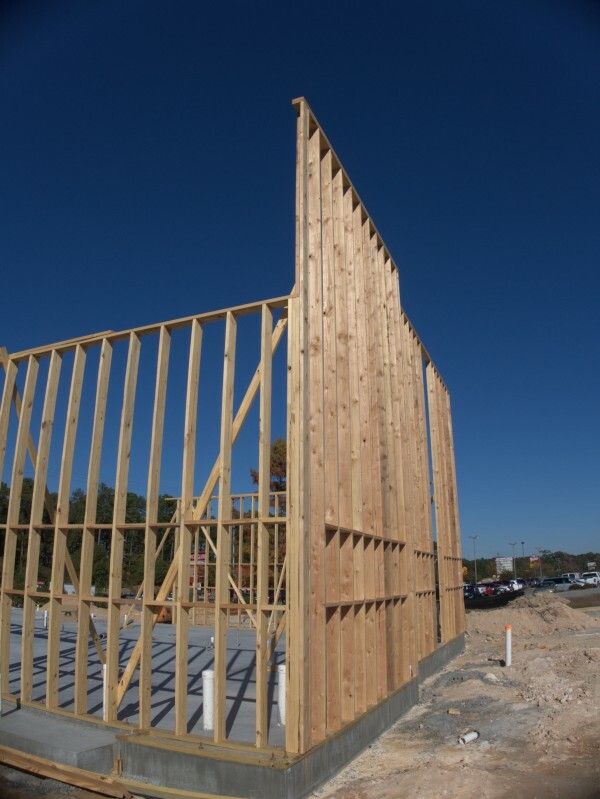 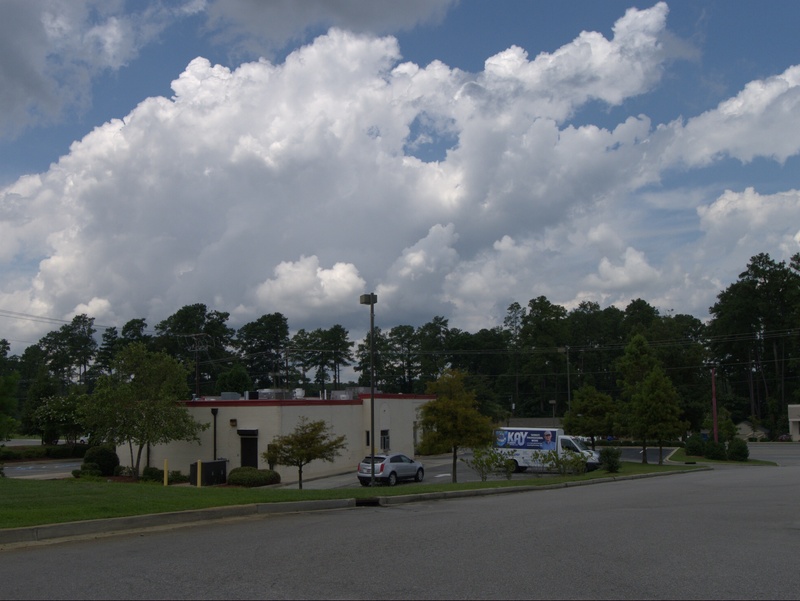 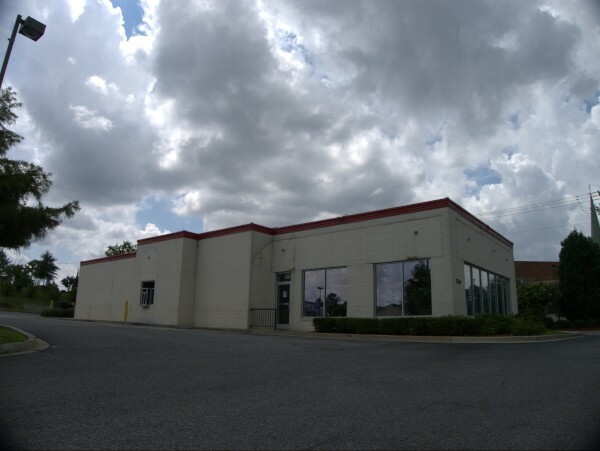 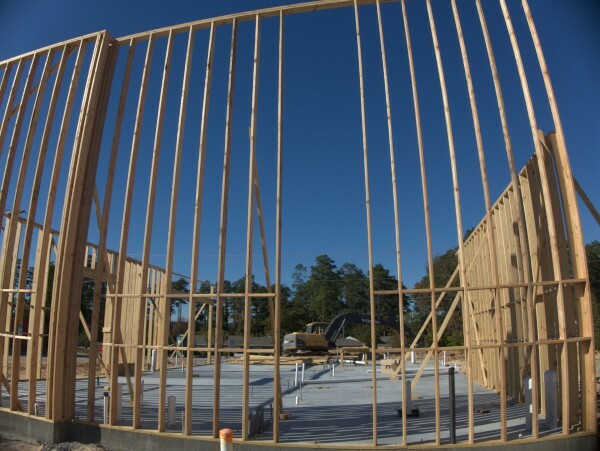 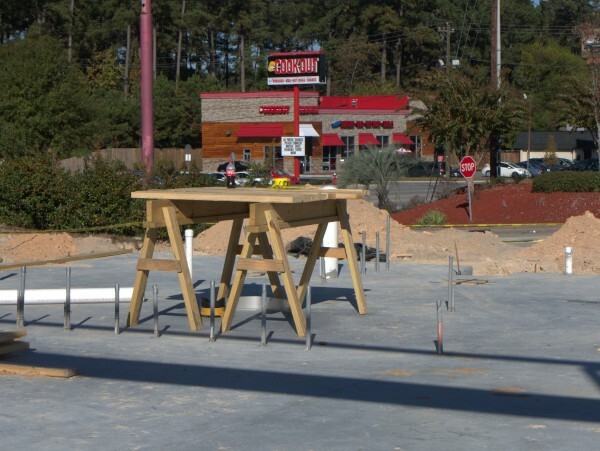 UPDATE 27 August 2012 -- The store has moved to 6903 Saint Andrews Road on the other side of Harbison and is still in business. What can I say? 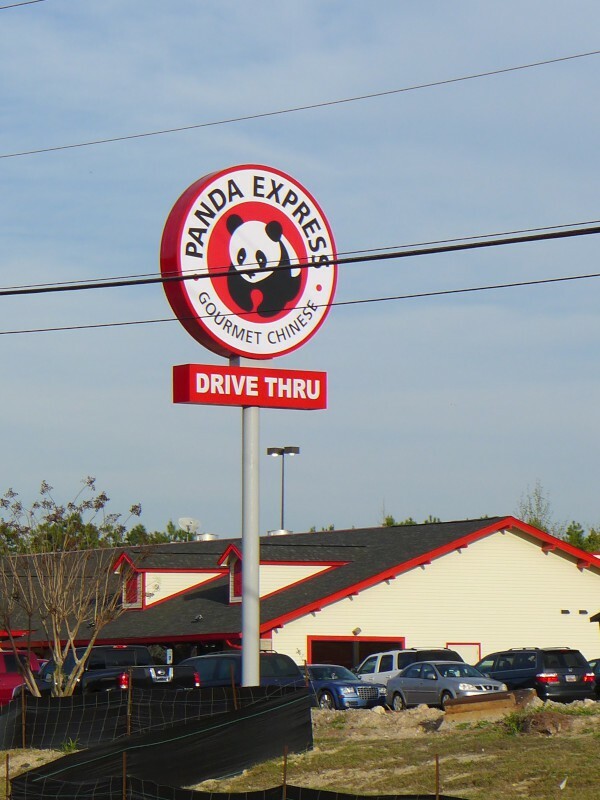 A thousand years from now, people will know This man's name when everyone else from our era is forgotten. 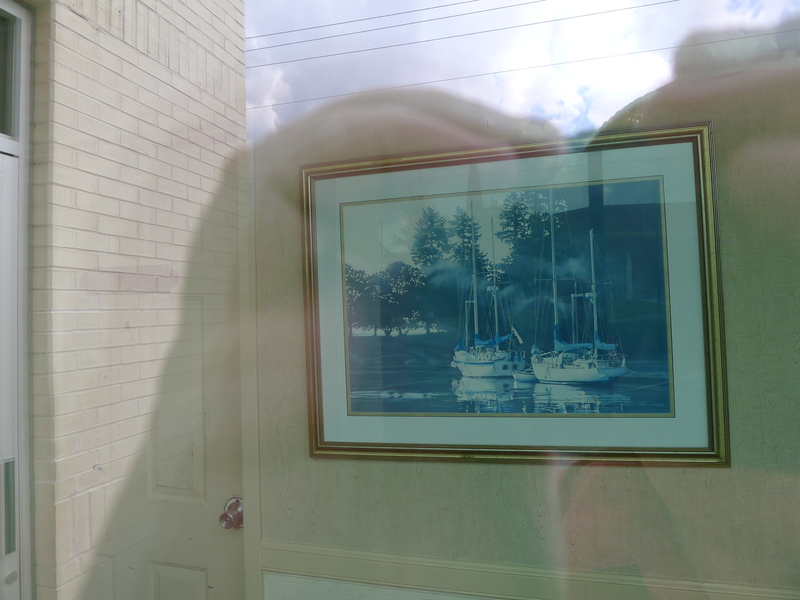 All I can do is link again what I said here. 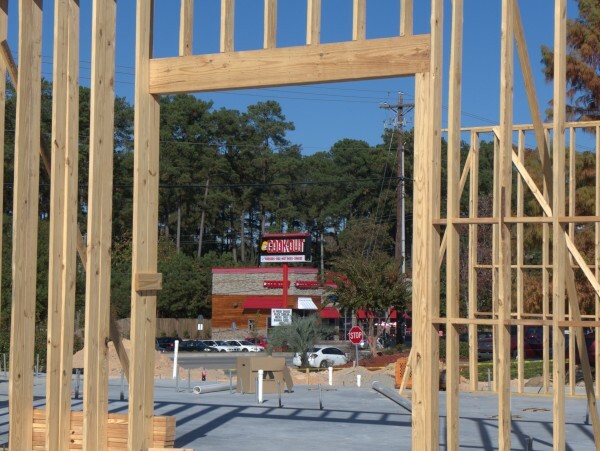 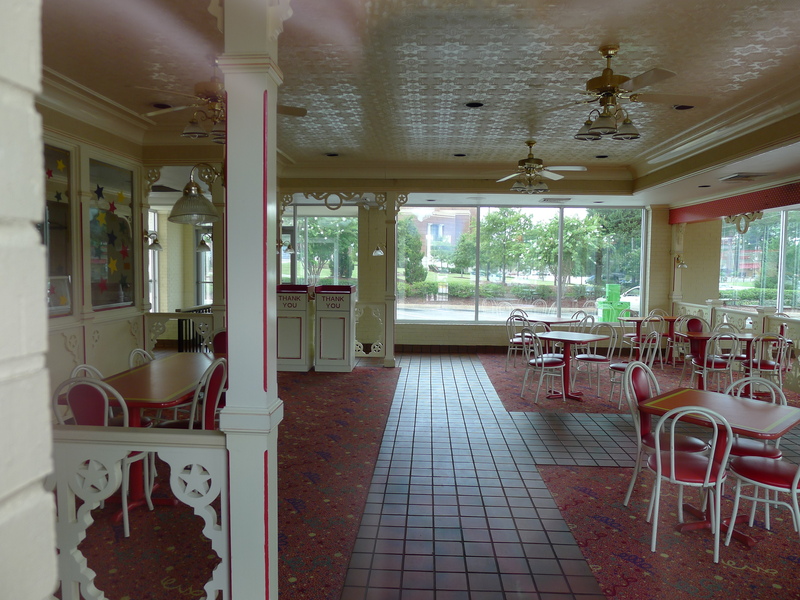 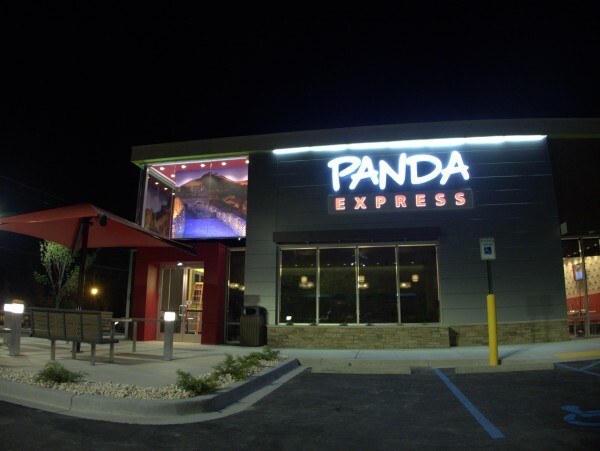 Well, given that I did a Forest Drive Bojangles closing just a few days ago, I don't have too much new to say about this one. 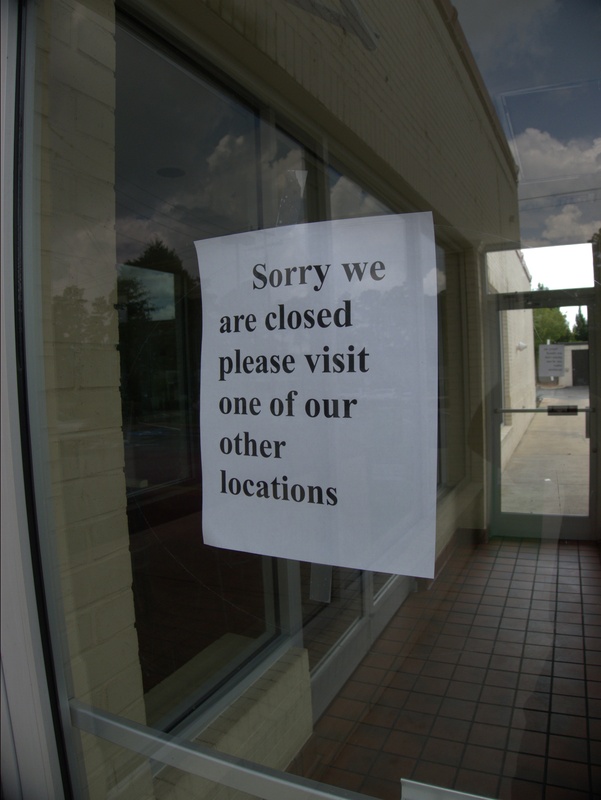 My sister tells me that she is nearly sure the store was open on Sunday 19 August 2012, so I'm putting the closing date as the following Monday: 20 August. 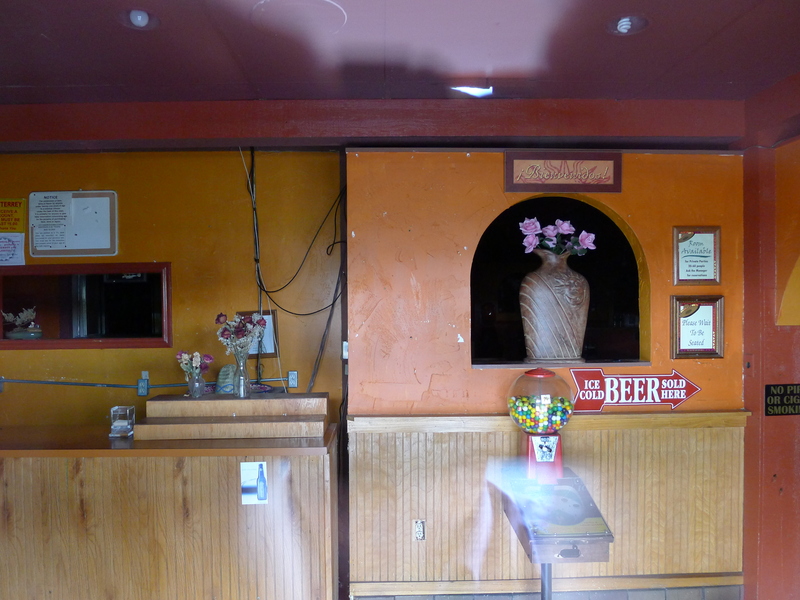 (These shots were taken on 23 August, but the paper in The State rack was for 21 August). Despite the total lack of signage, several cars pulled into the lot while I was taking these pix. 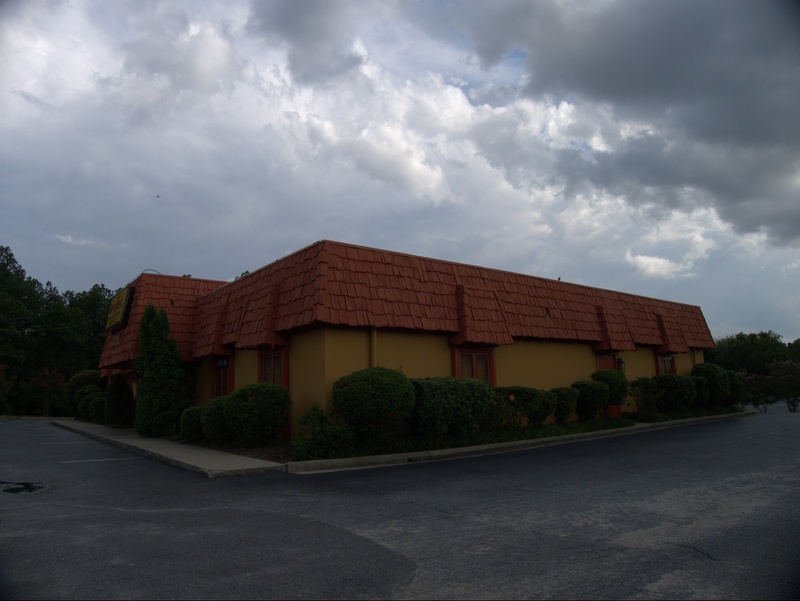 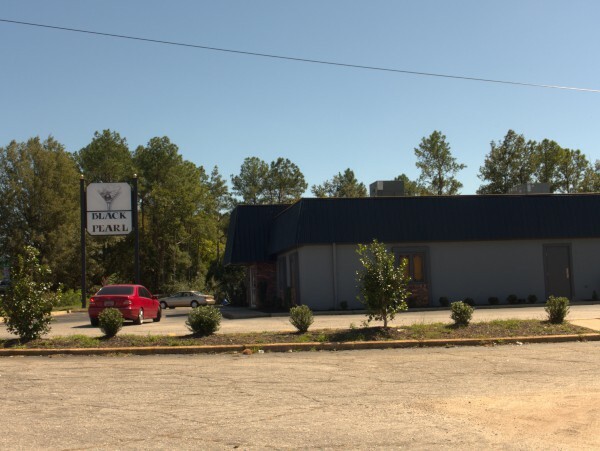 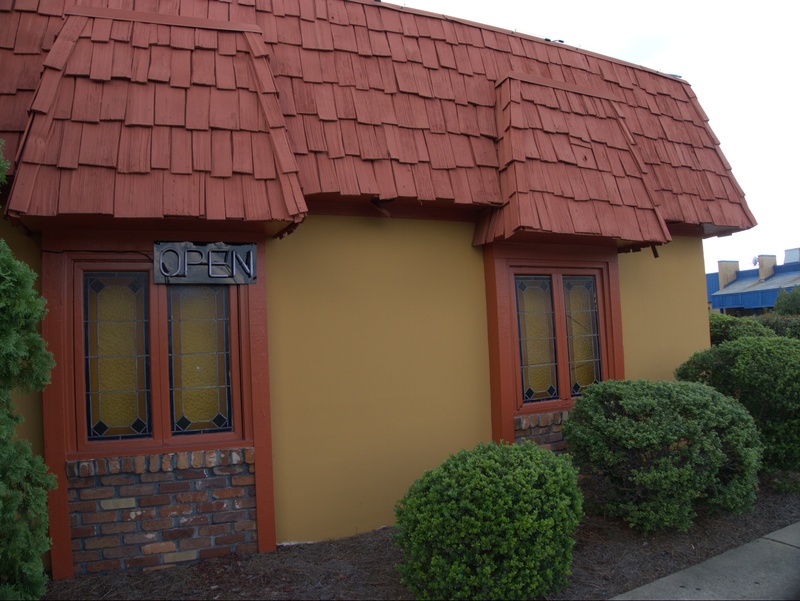 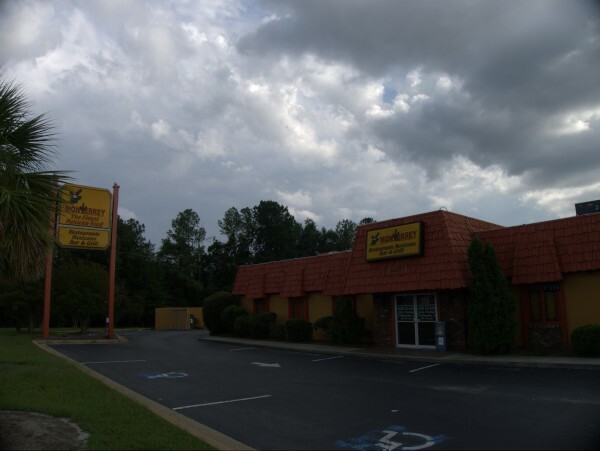 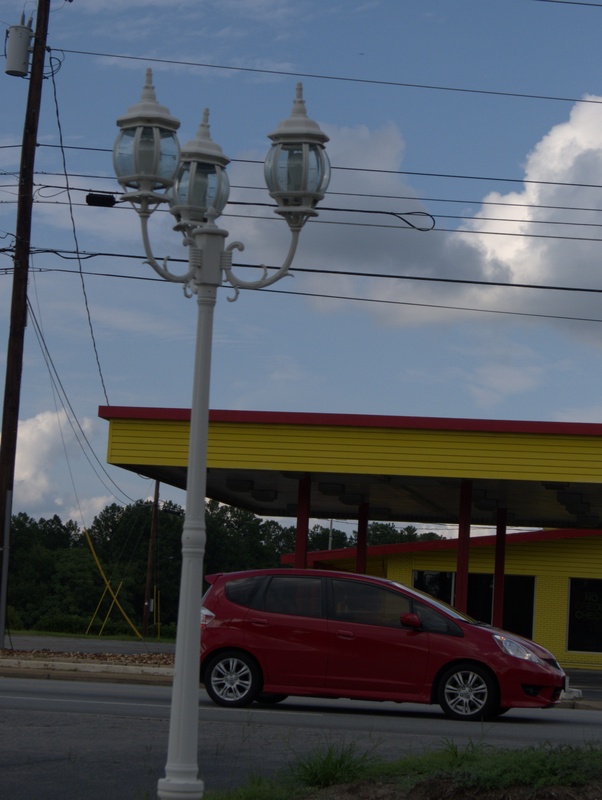 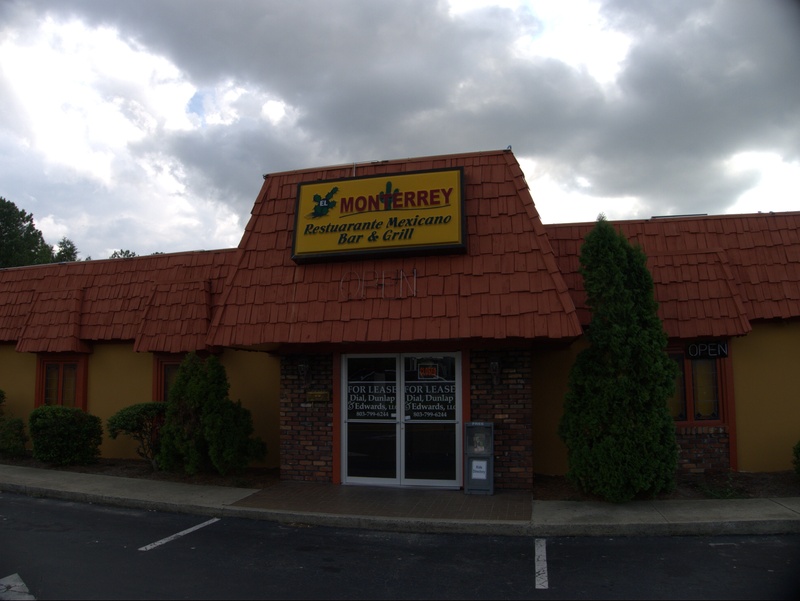 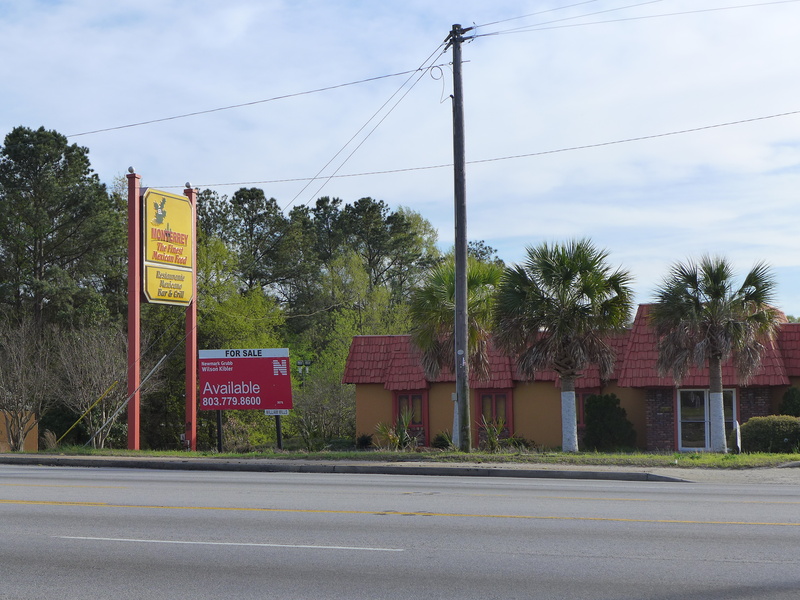 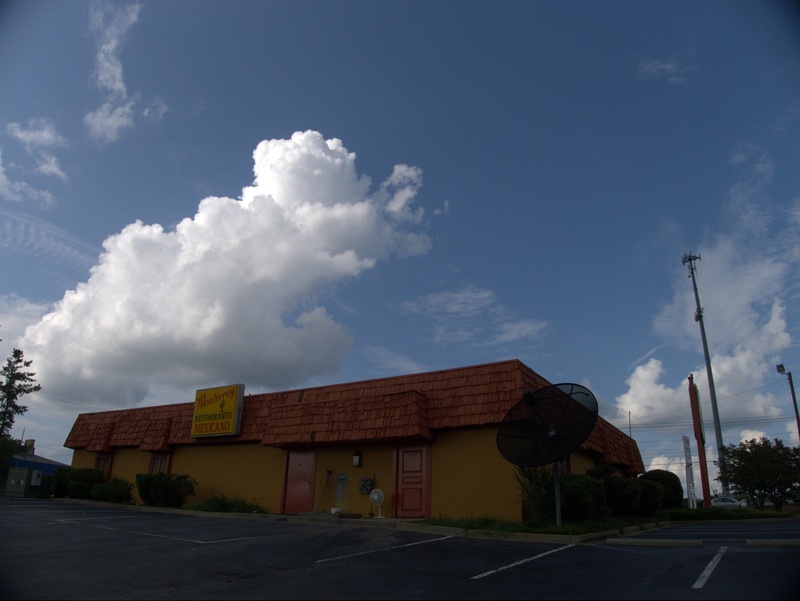 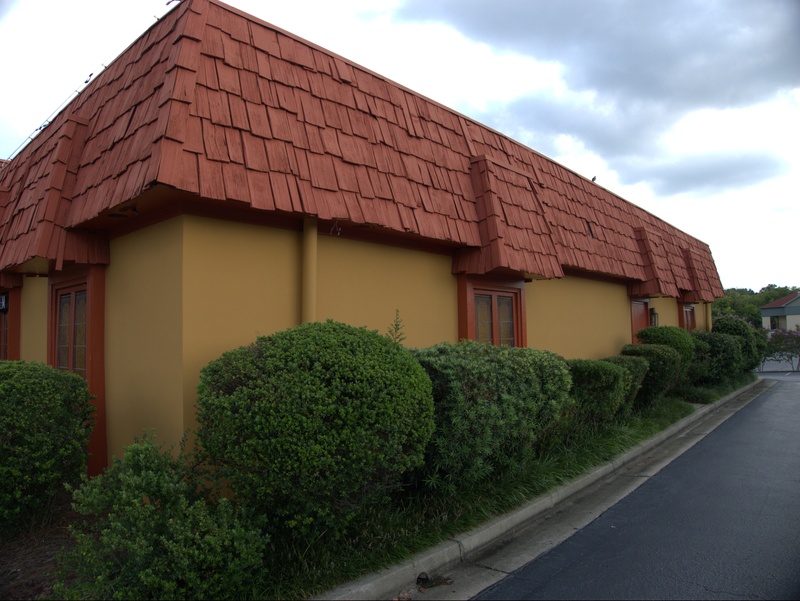 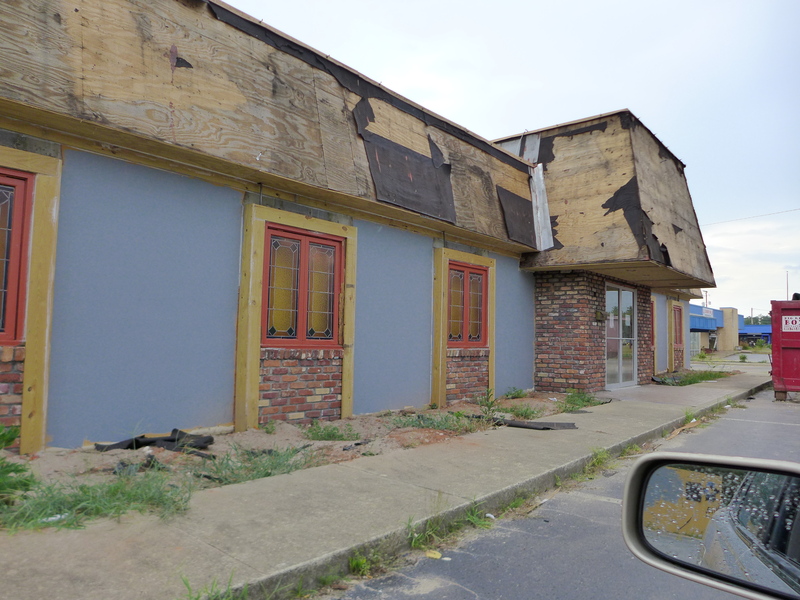 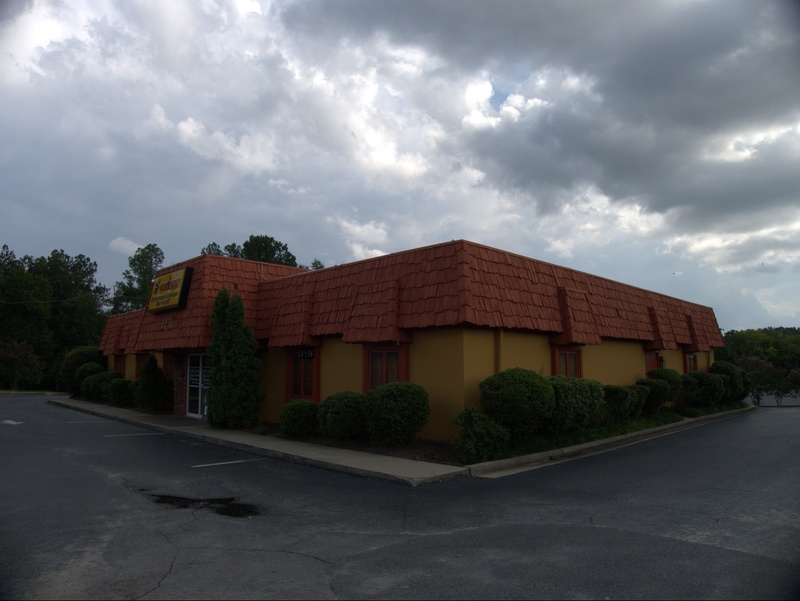 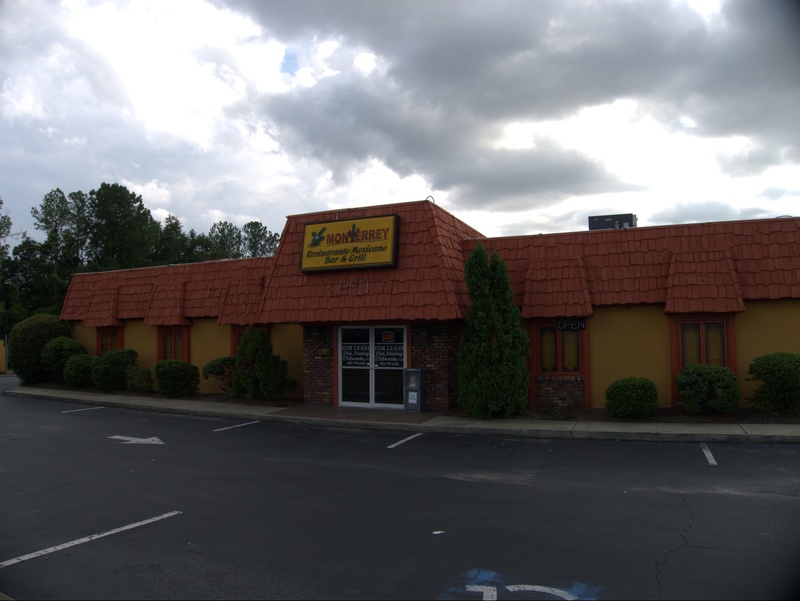 Continuing yesterday's Mexican theme -- I have often noted this El Monterrey on Broad River Road, just North of I-20, and thought to myself that it was in an awful location: very close to the I-20 interchange (which is busy, and backs up) but without access to a traffic light. 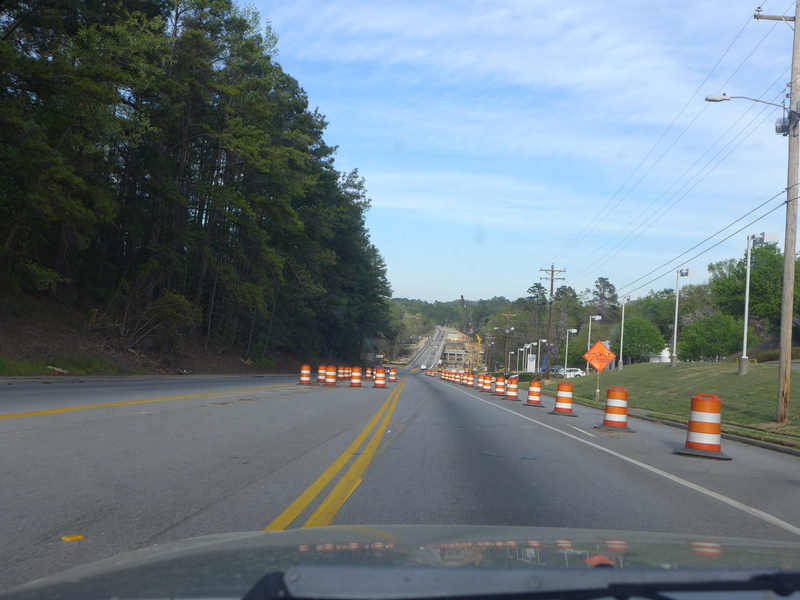 That turns out not to be exactly true, as I found out when I stopped to take these pictures. 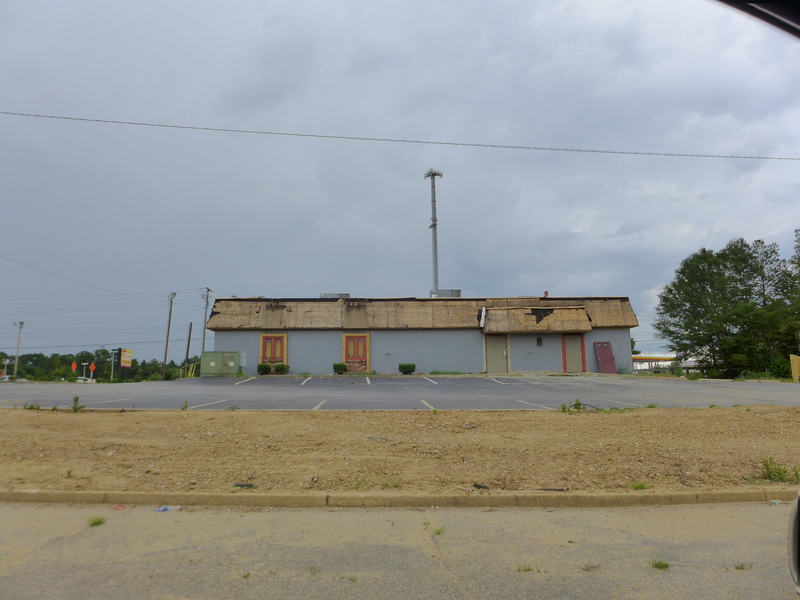 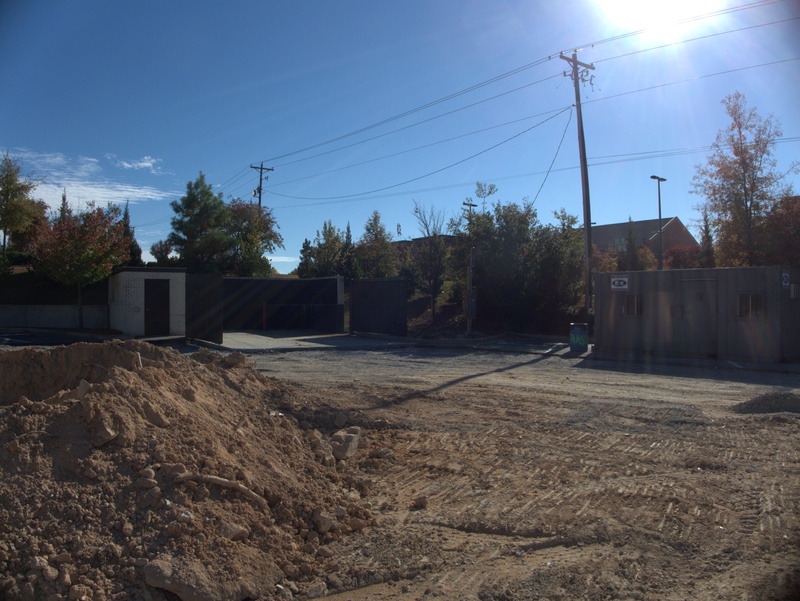 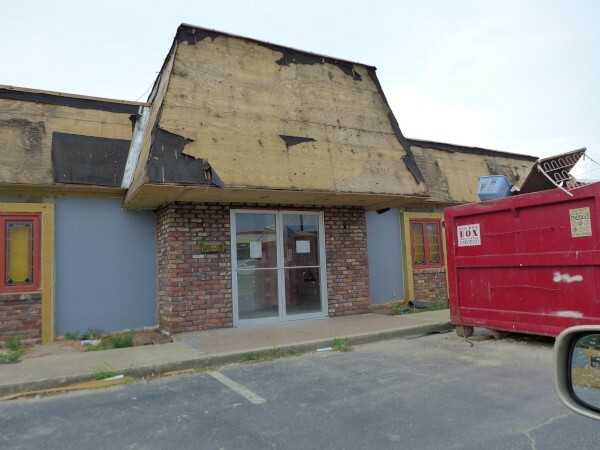 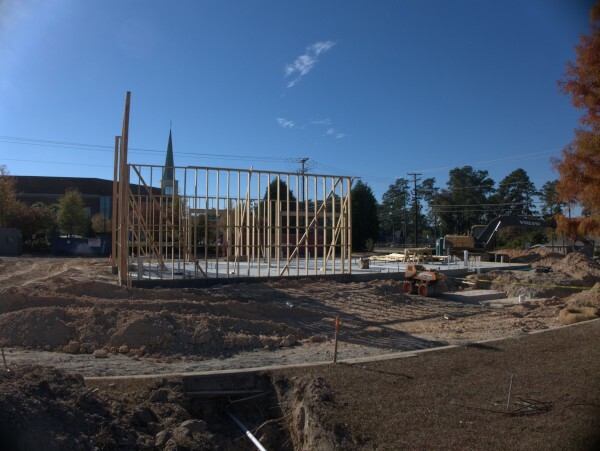 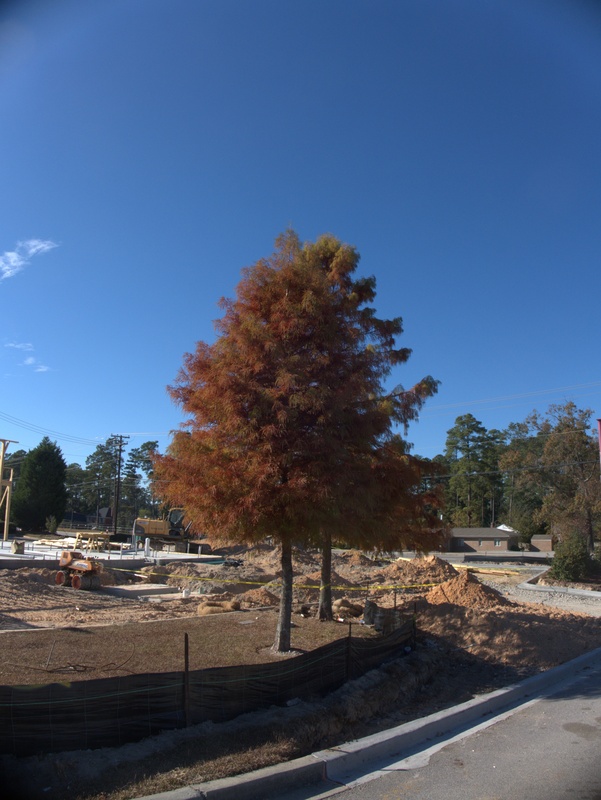 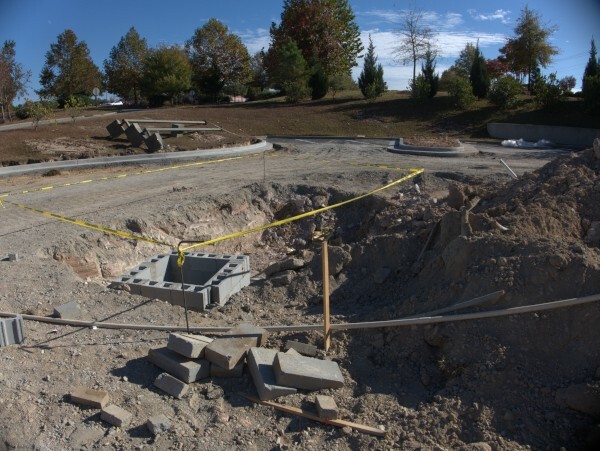 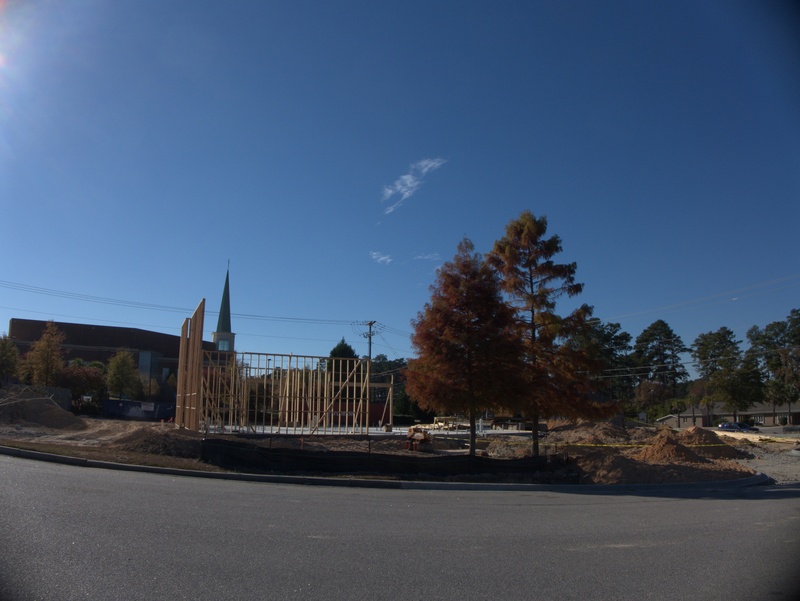 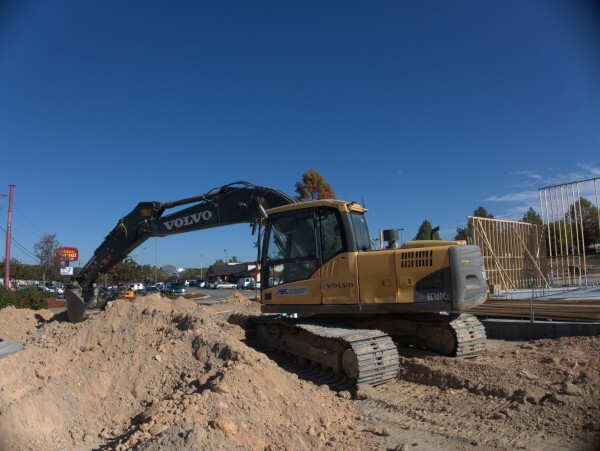 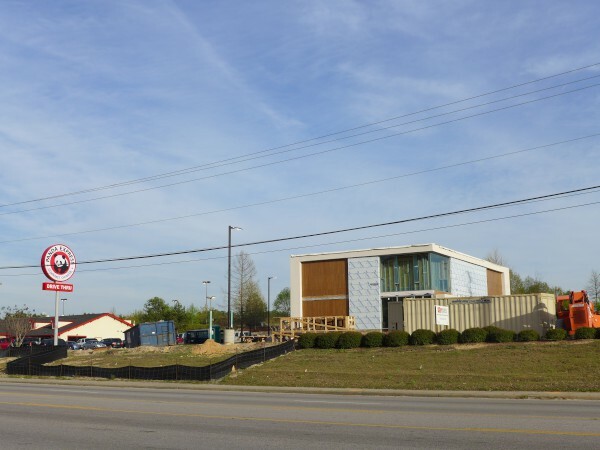 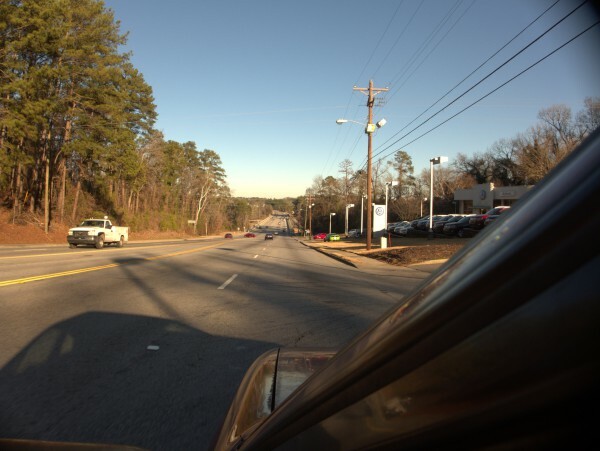 In fact, the back of the parking lot has a cut-through into the Economy Inn parking lot, and thence to Briargate Circle, which does have a stop-light. 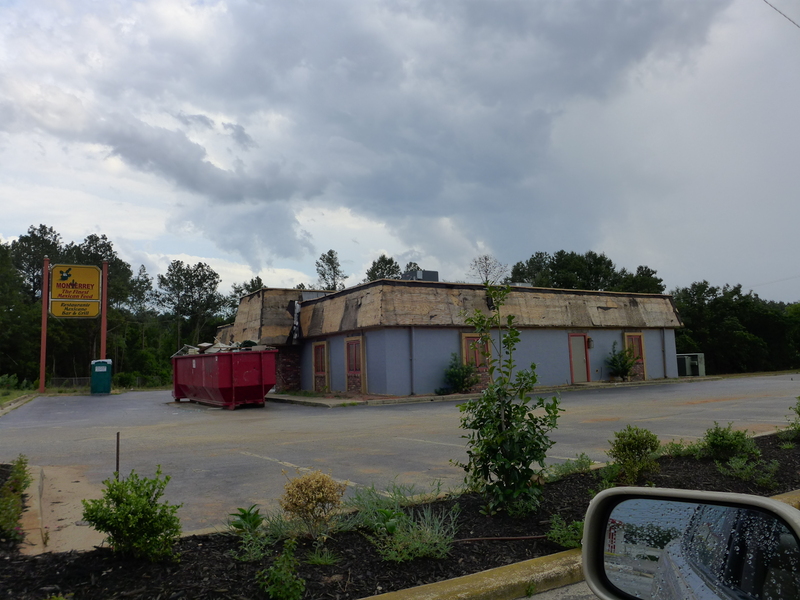 It even looks as though they got enought business from the hotel side (or expected to get enough business from the hotel side) to set up the back of the restaurant with a second facade. 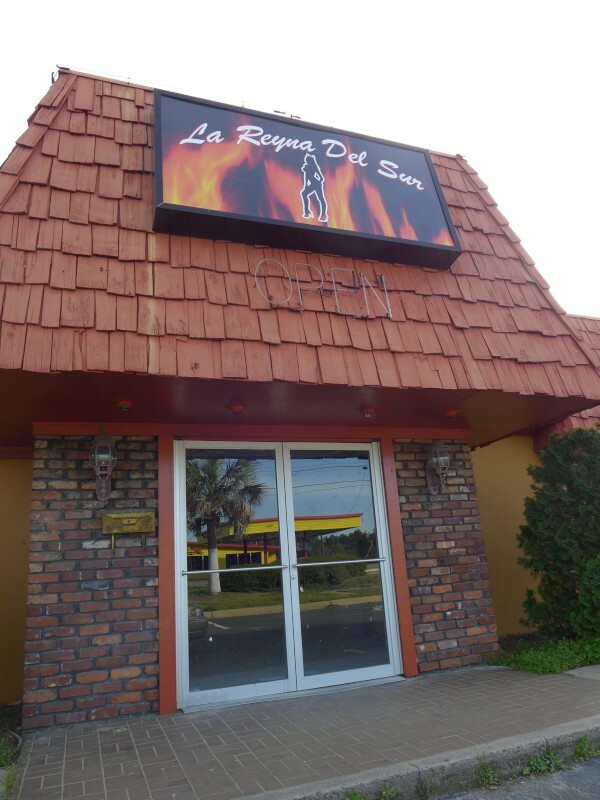 Apart from the access situation, I was never tempted to stop here because in my experience the local Monterrey chain comes in behind the Casa Linda, San Jose and La Fogota chains -- nothing drastic, just not one of my preferred marquees. 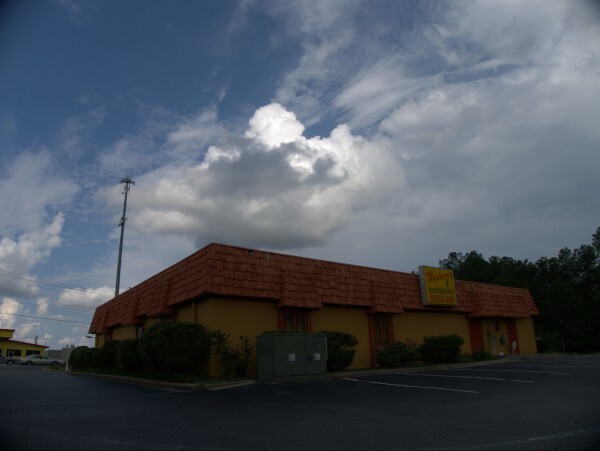 (And if I was in the general area, I would probably hit El Chico anyway). 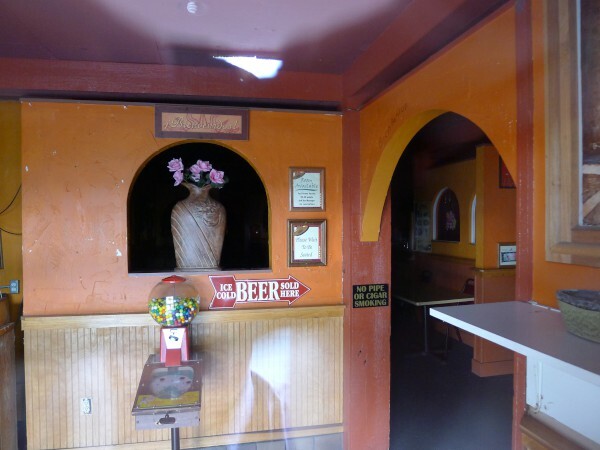 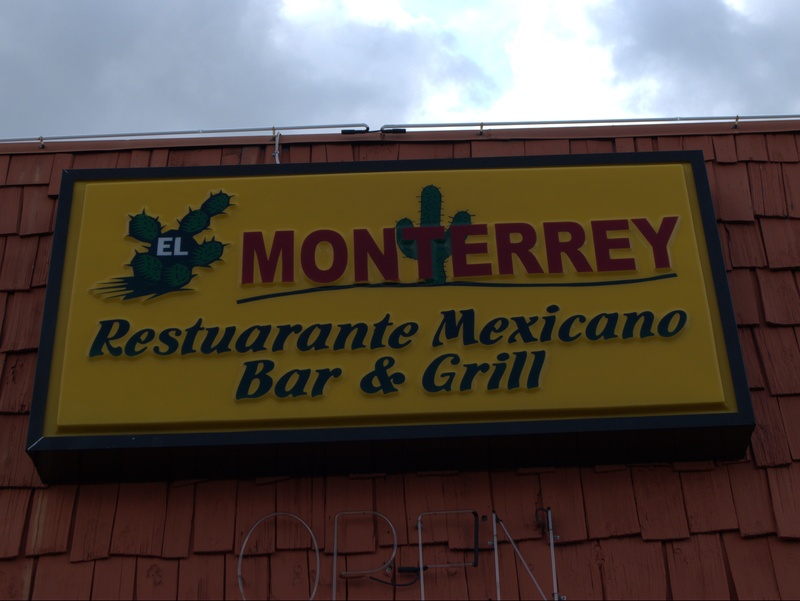 Also, I'm taking the El off the original post title of El Monterrey Restaurante Mexicano Bar & Grill to make it match the sign and fall in the Alphabetical Closings with the other Monterrey locations. 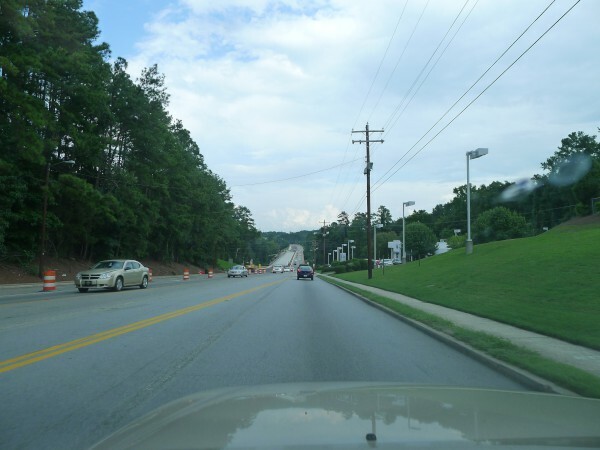 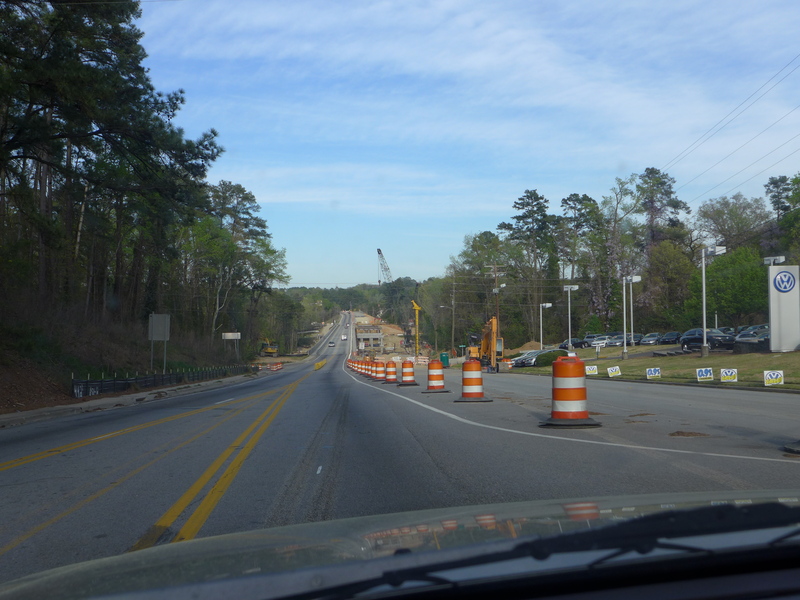 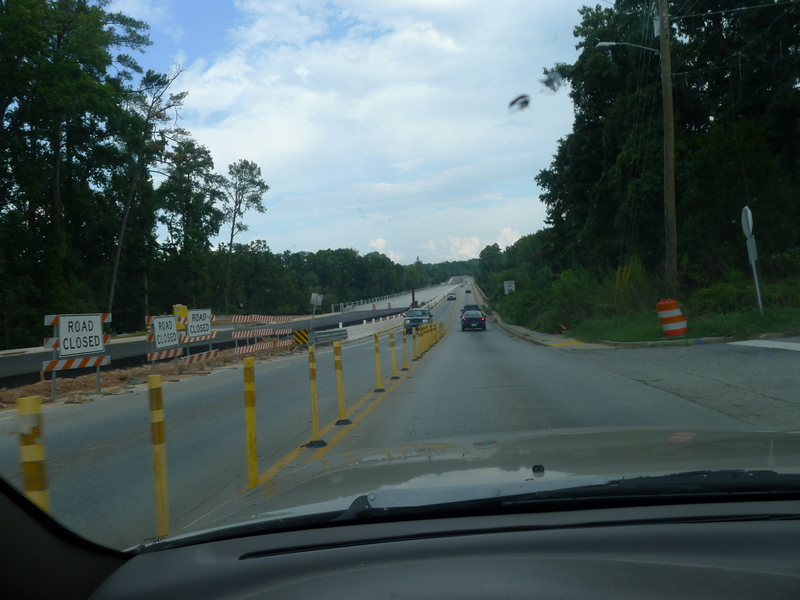 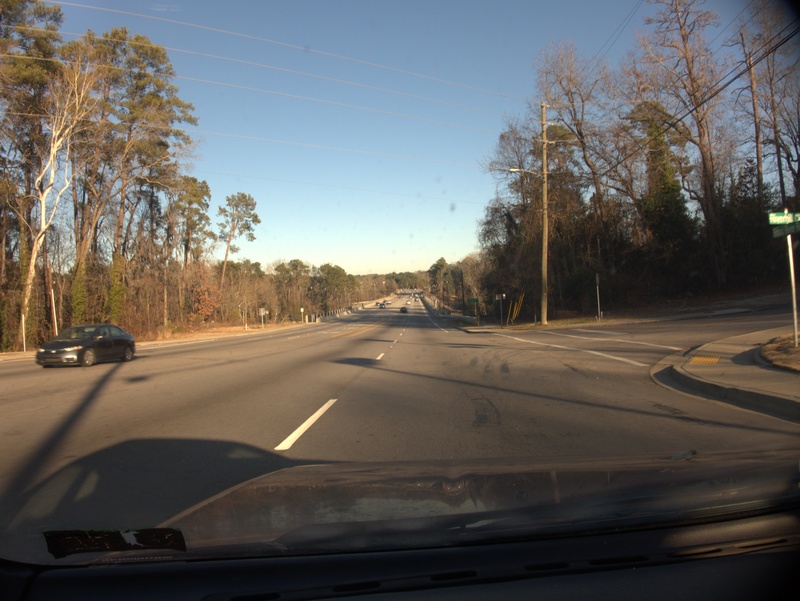 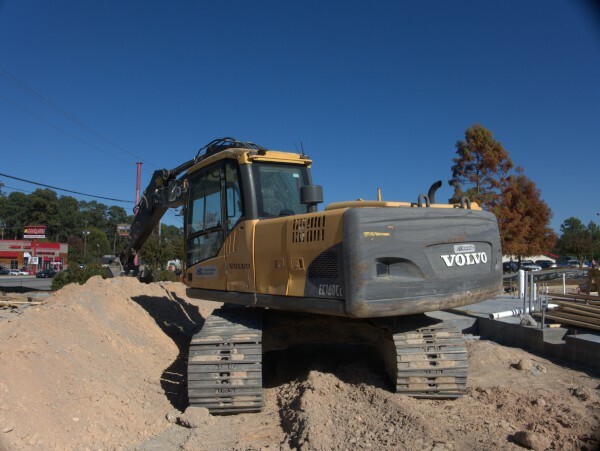 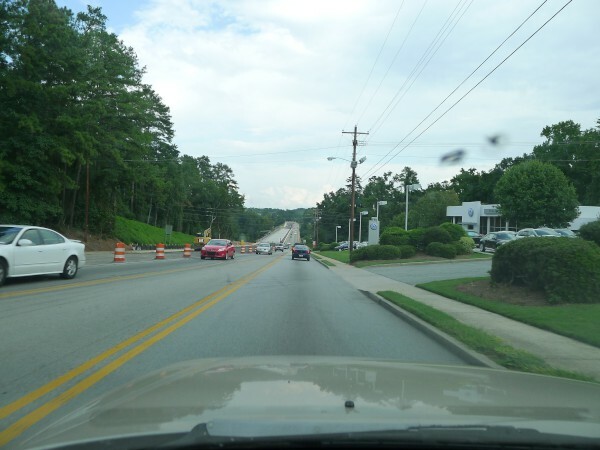 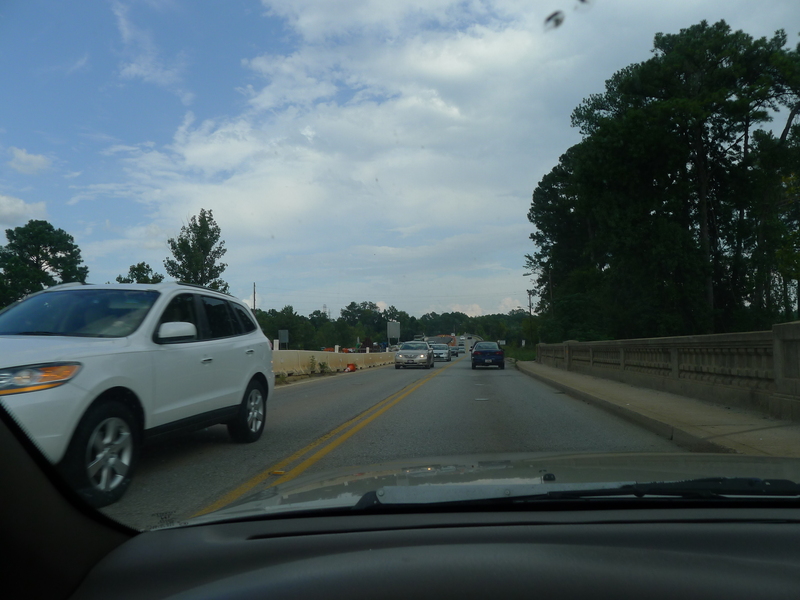 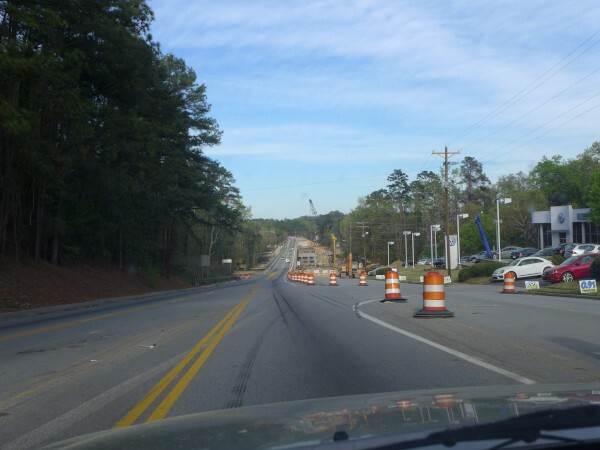 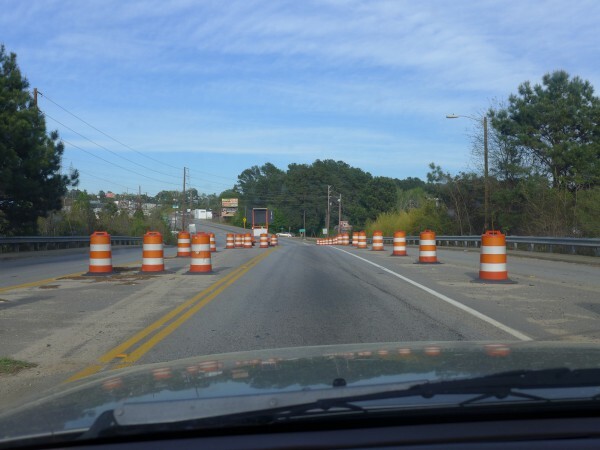 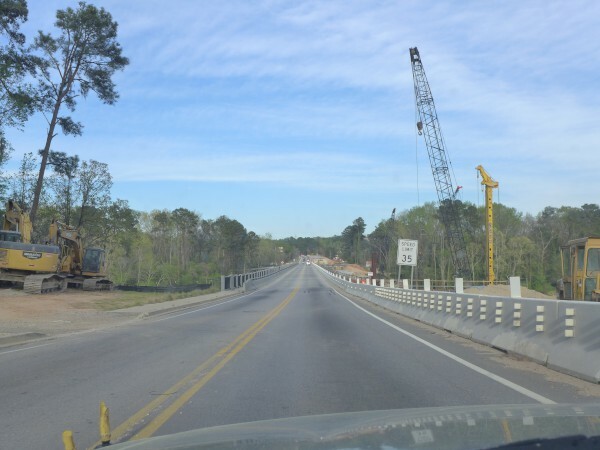 Or has the Broad River Road / River Drive construction been ongoing since the late 1800s? 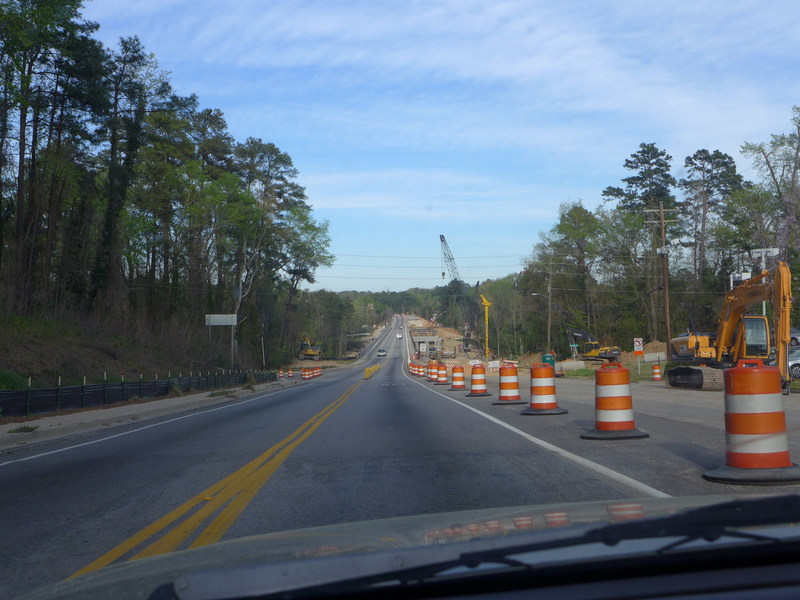 UPDATE 9 April 2014 -- And two years later, *still* not done! 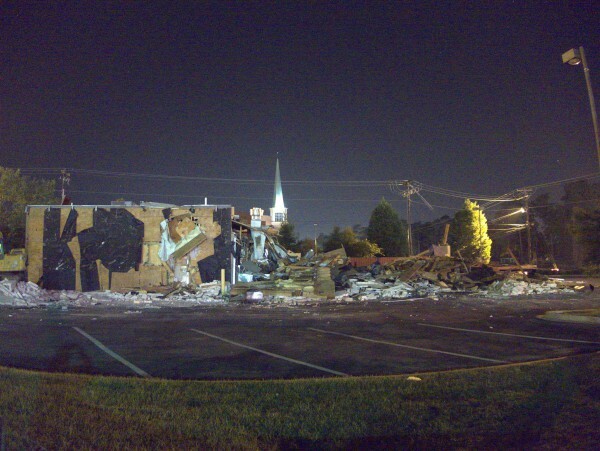 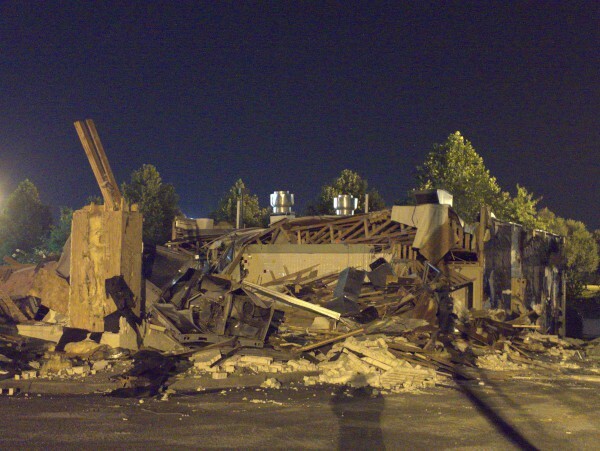 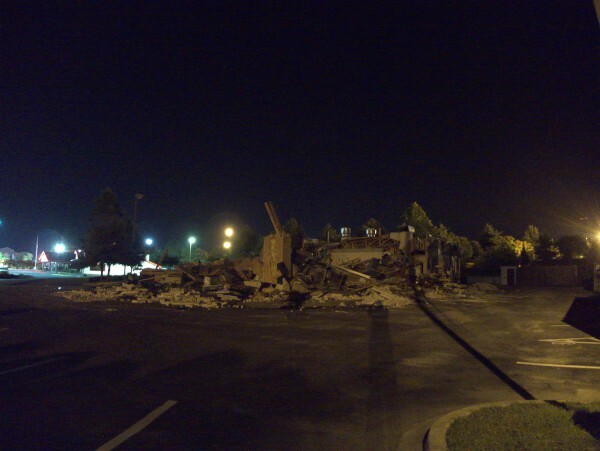 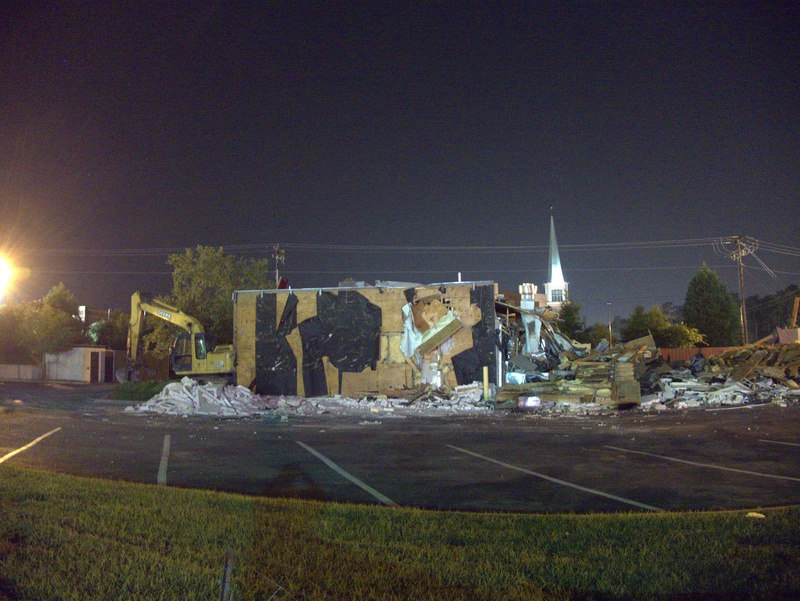 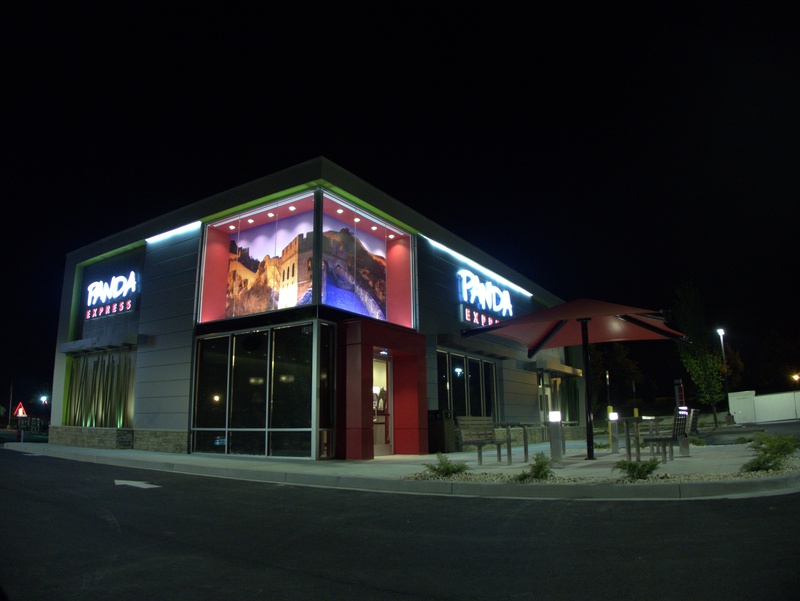 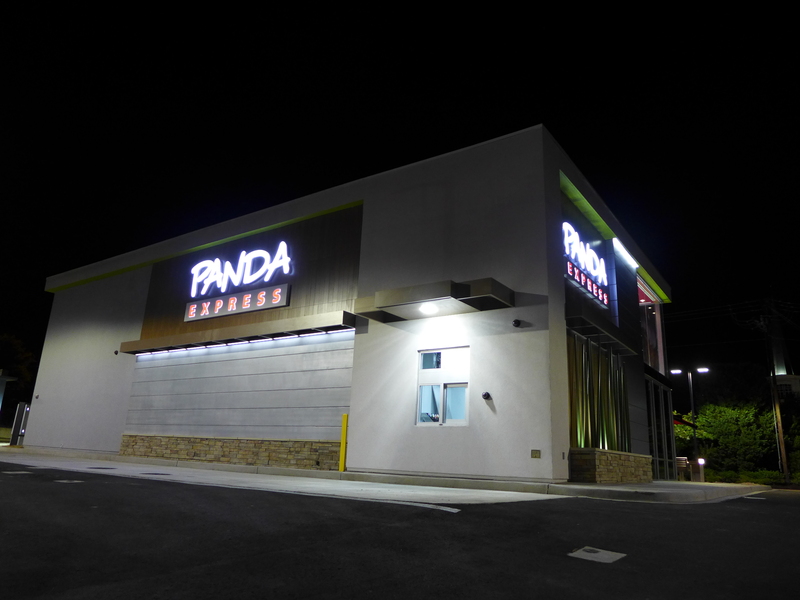 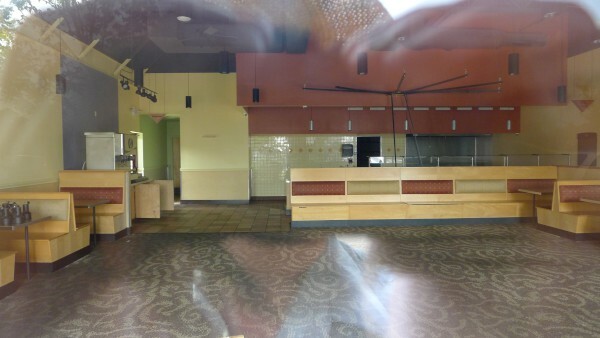 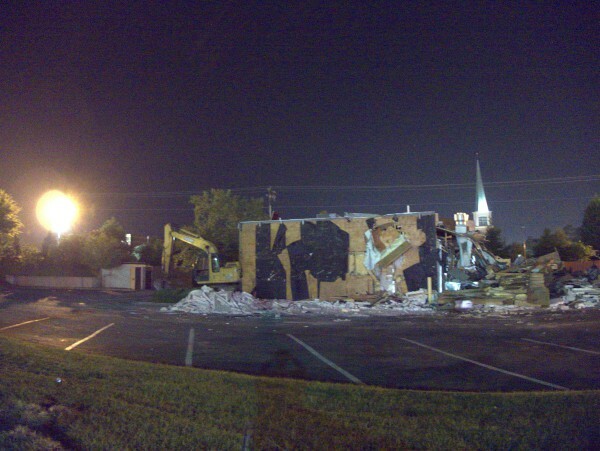 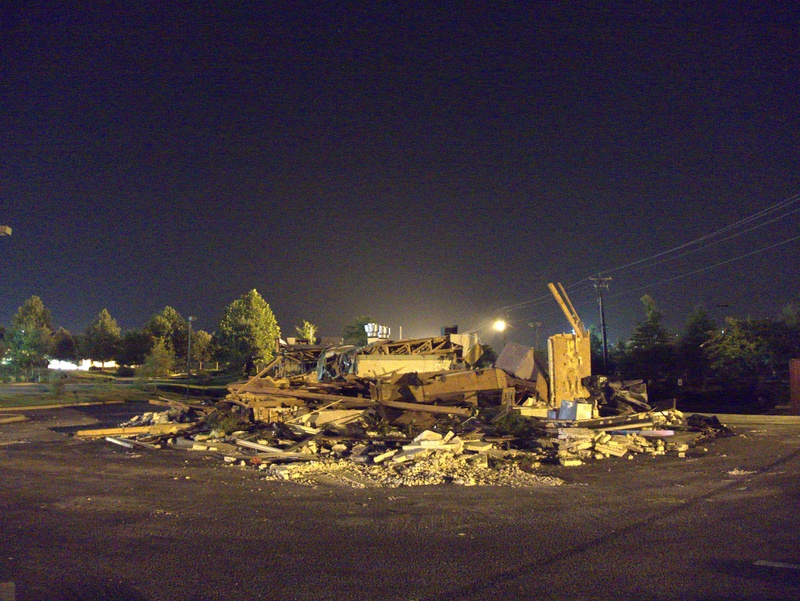 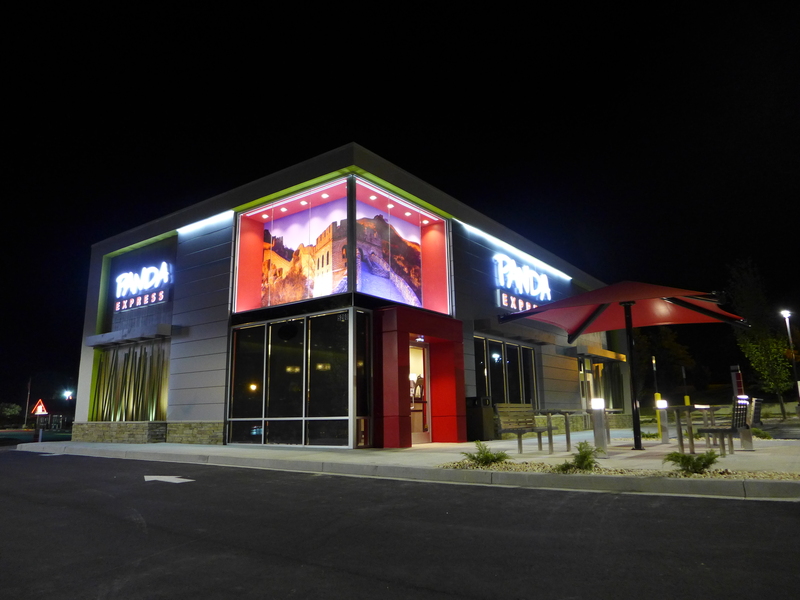 Here's another Qdoba gone. 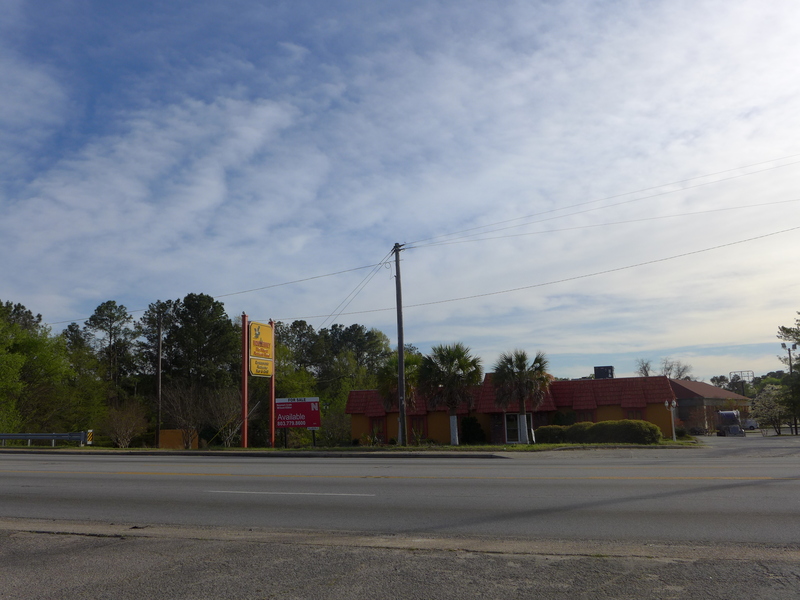 I know the chain has also lost two stores on the Grand Strand in the last few years, so I have to wonder how well they are doing overall. I have to admit that I have not been impressed the three or four times I have stopped at a Qdoba. 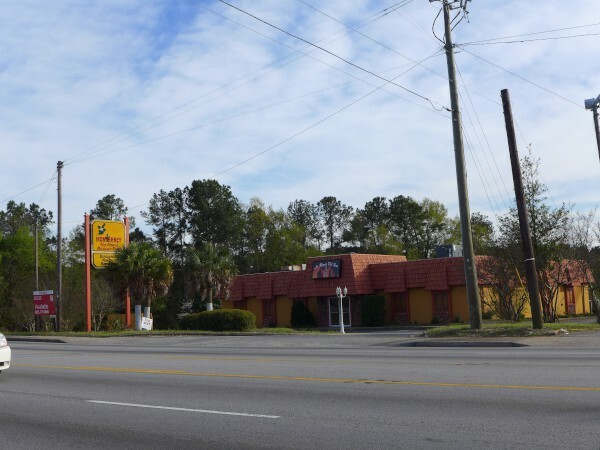 In particular, the burritos tend to fall apart quite easily and spectacularly, something that almost never happens at my favorite chain in this category, Moe's. (Barberitos is pretty good too, though we have none locally). 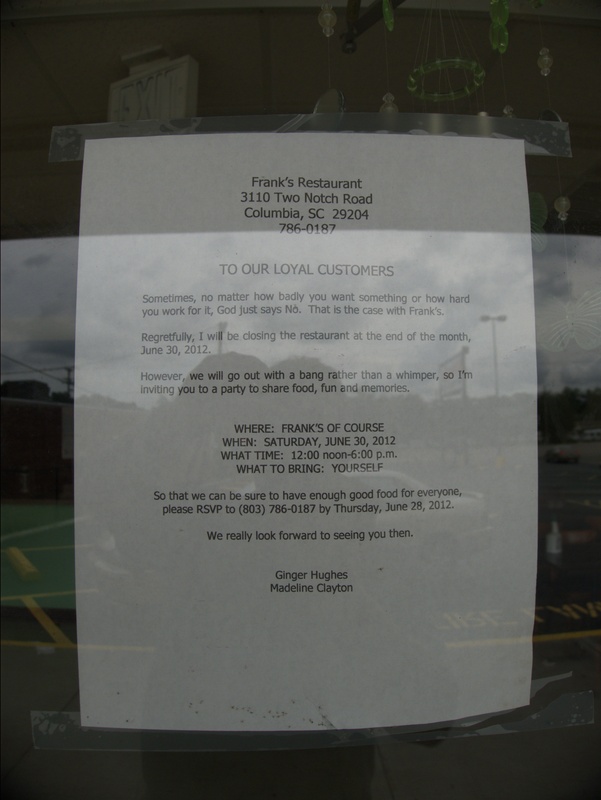 On the other hand, commenter mamarose who reported this closing says that the Five Points store is doing quite well. 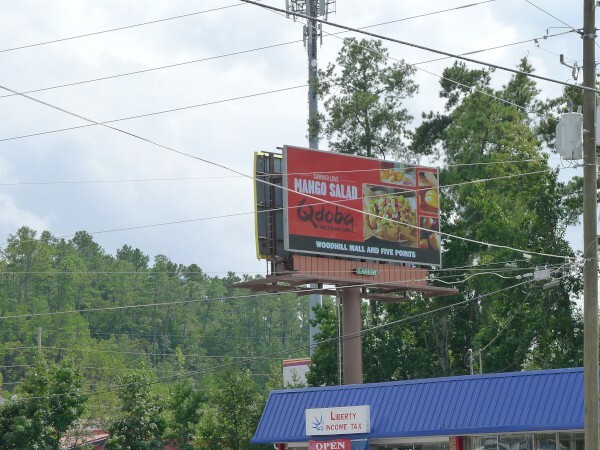 As of 21 August 2012, the electronic billboard near the Rosewood / Garners Ferry intersection was still advertising for the Woodhill location.